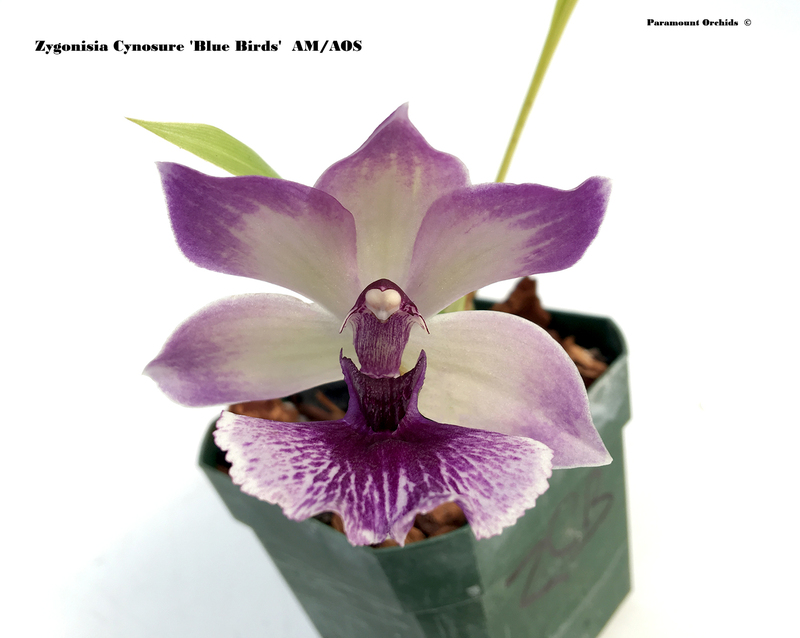 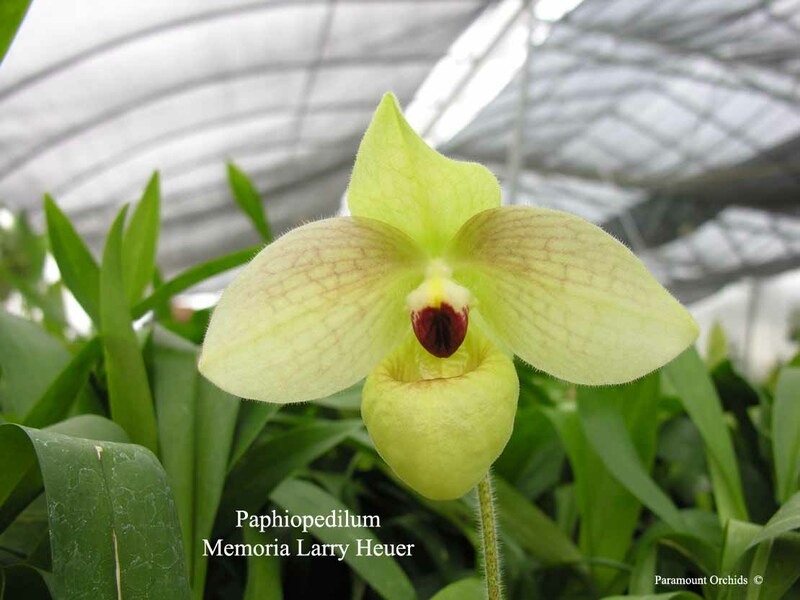 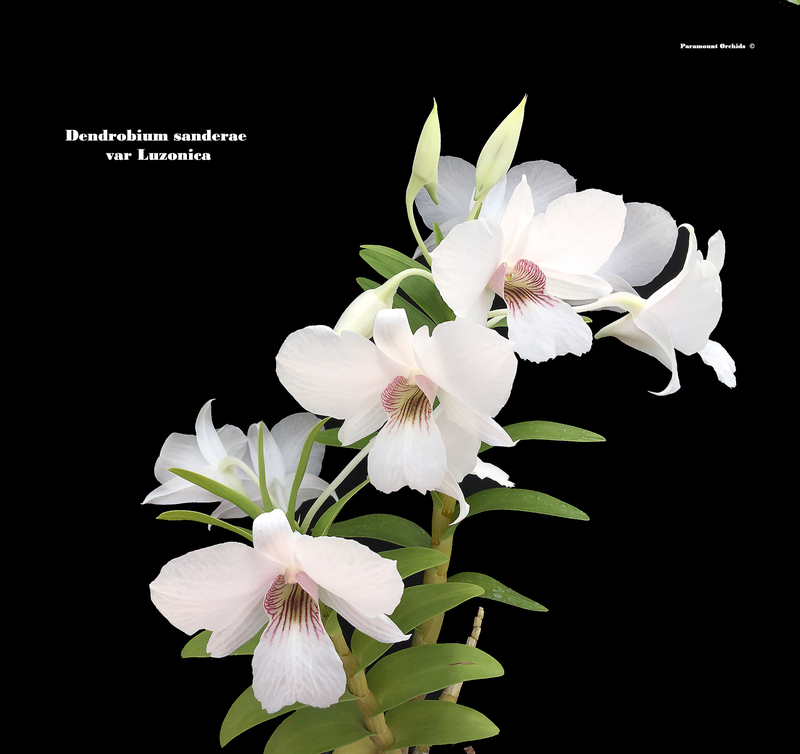 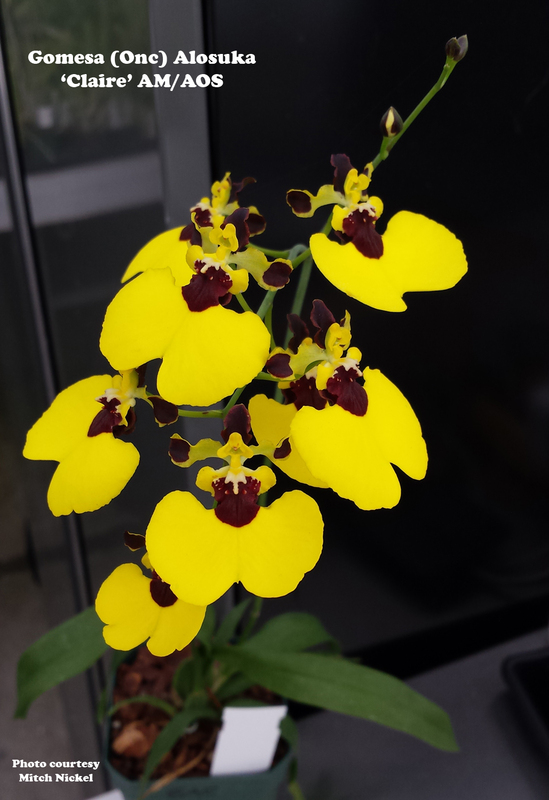 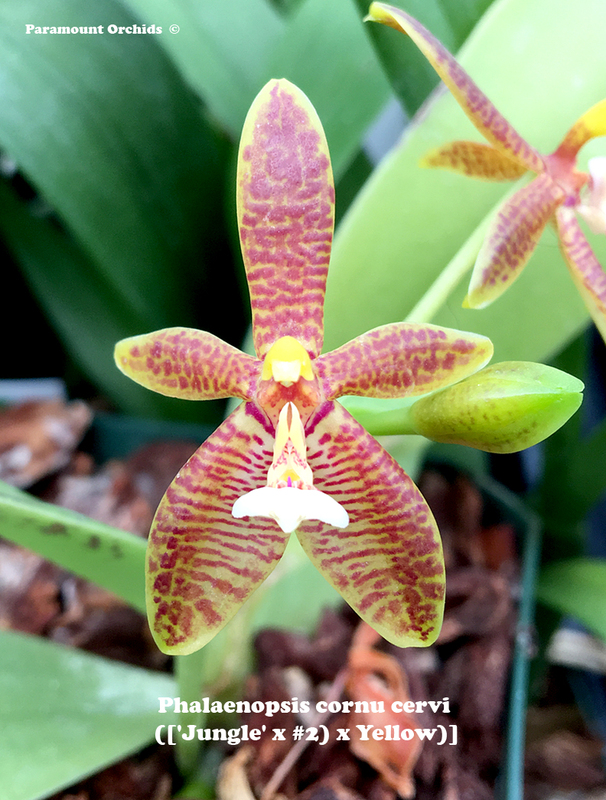 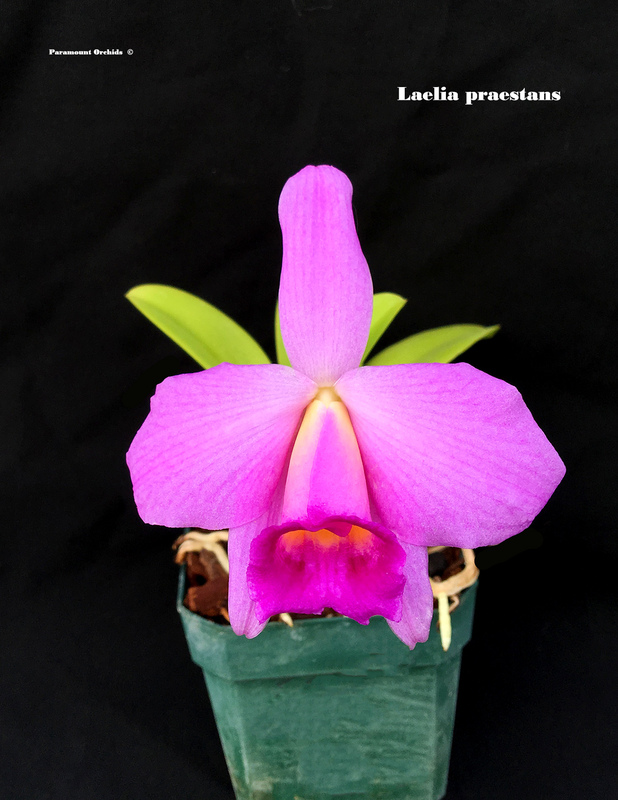 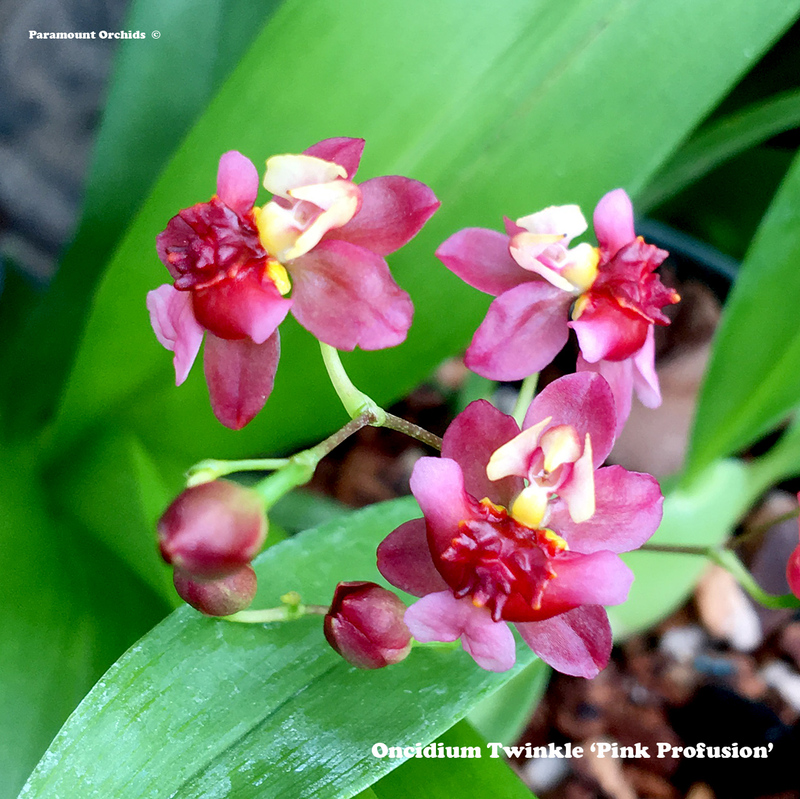 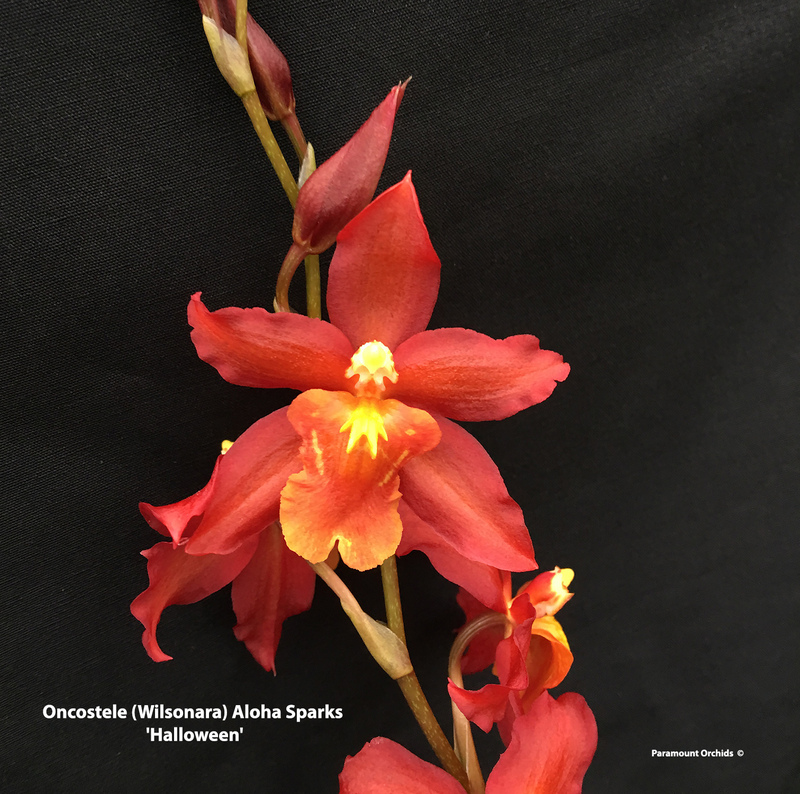 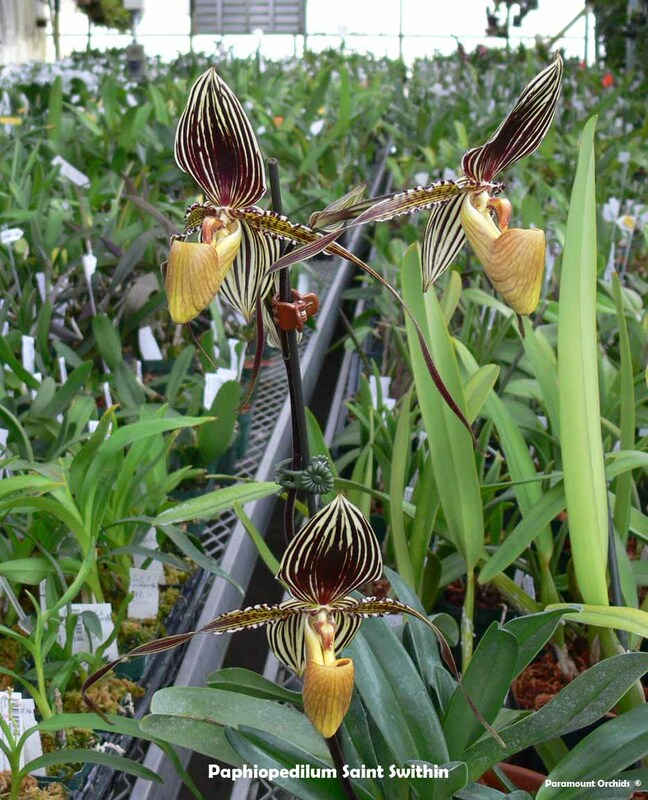 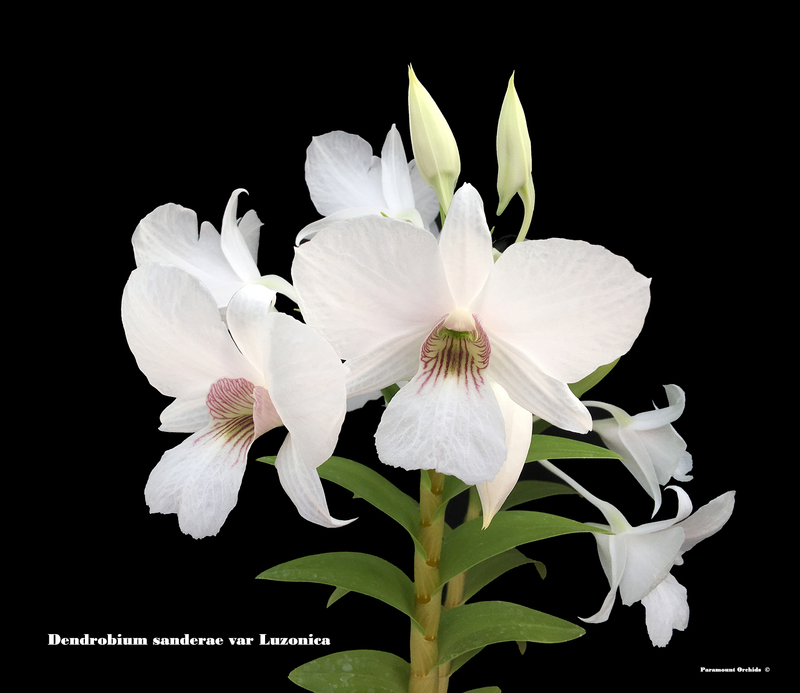 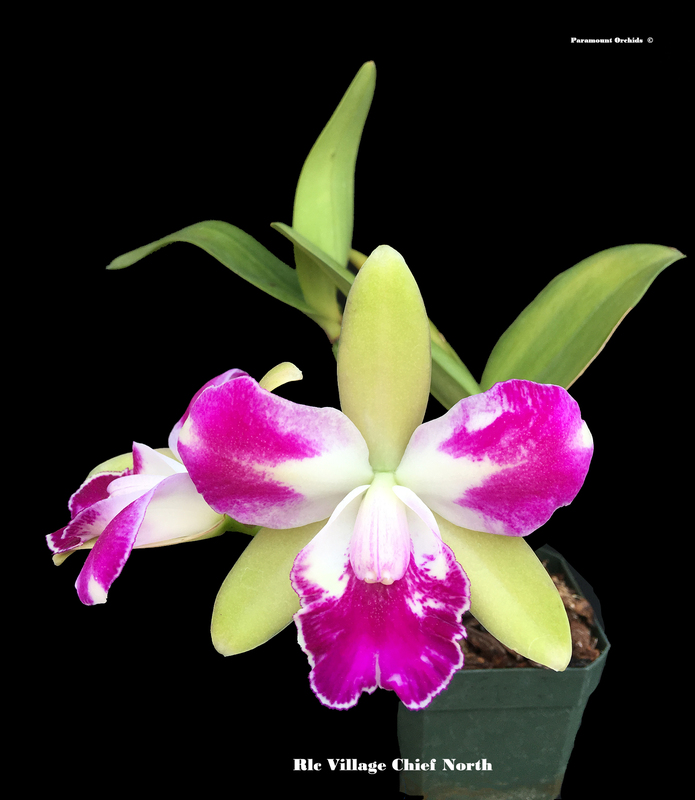 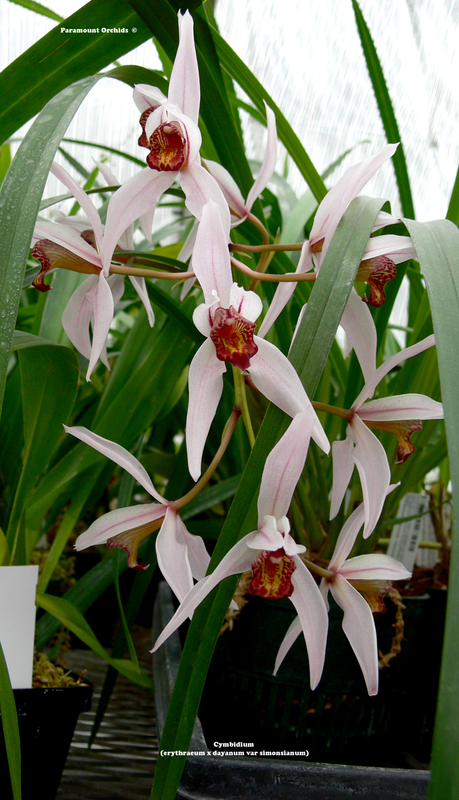 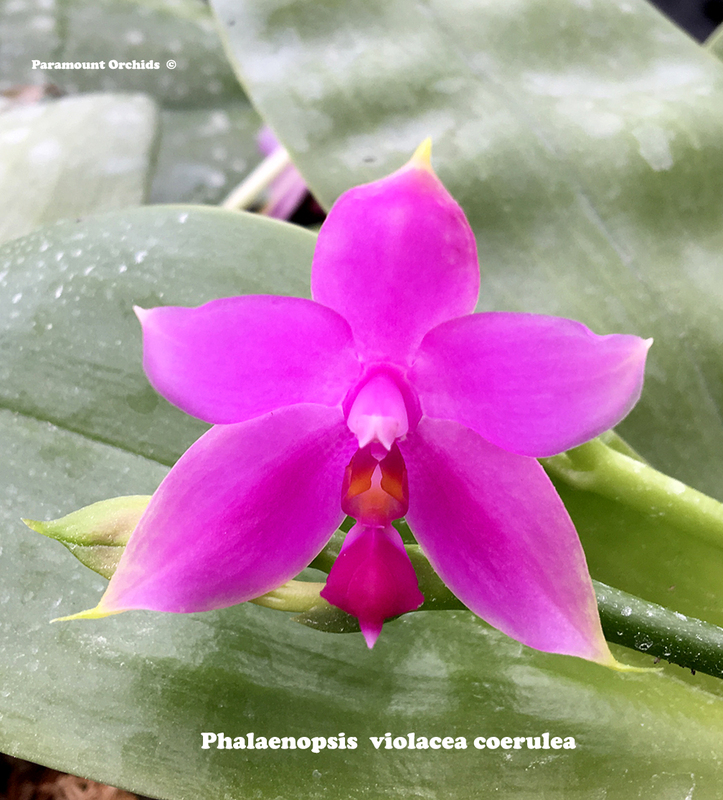 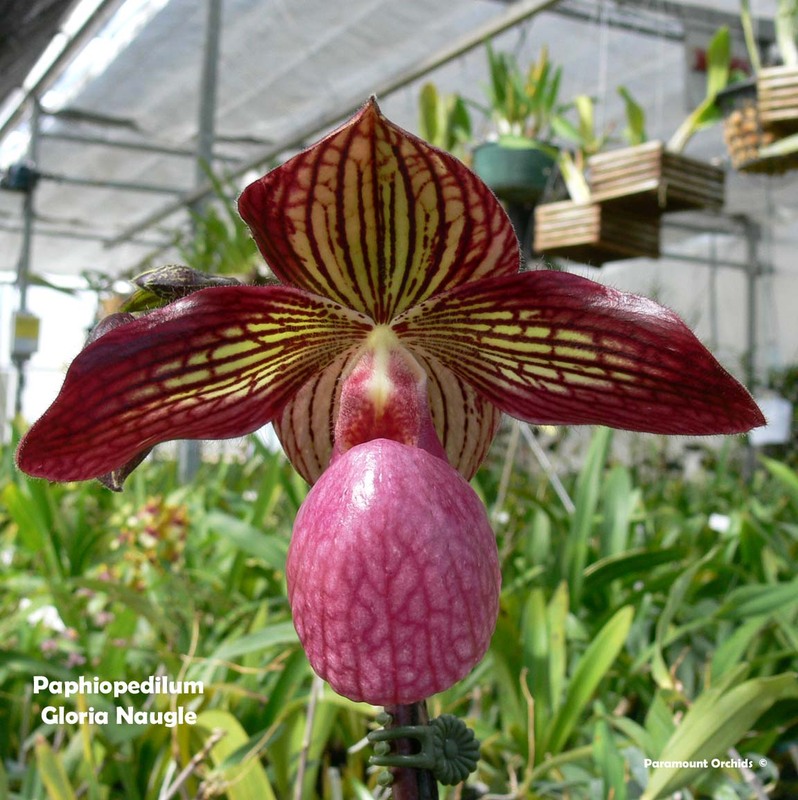 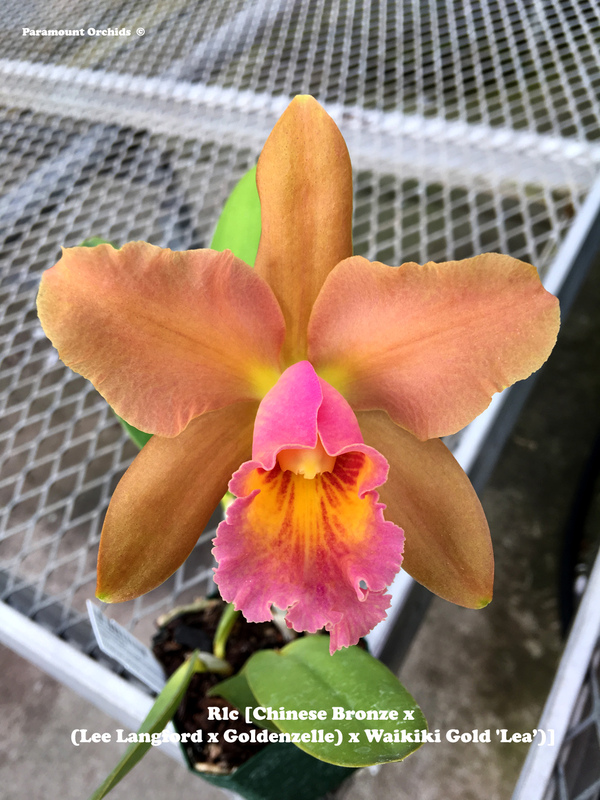 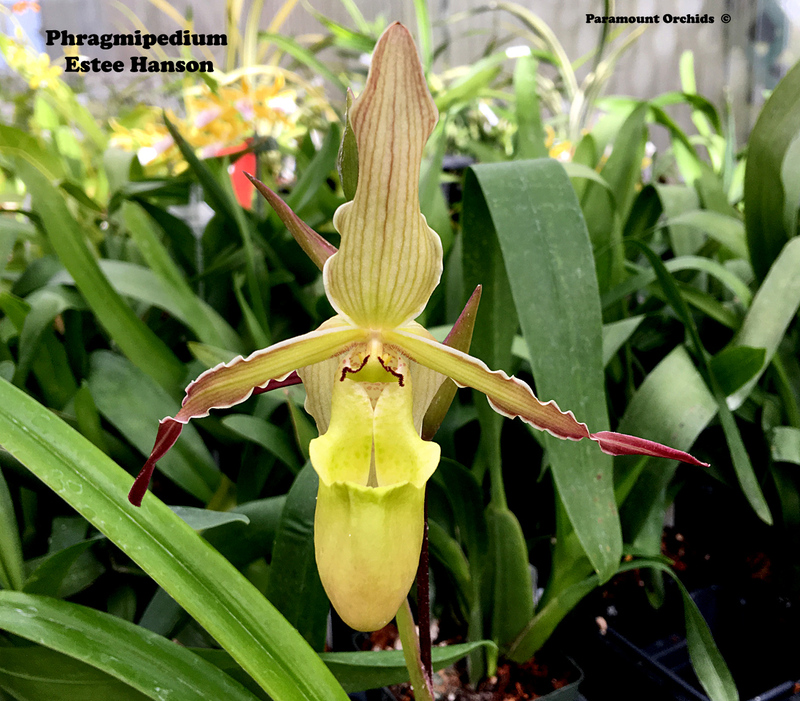 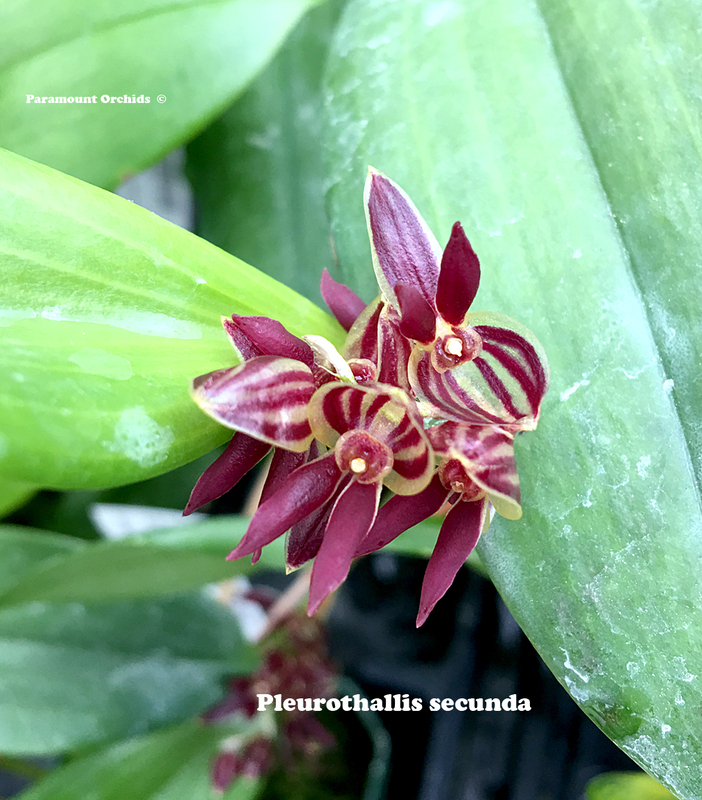 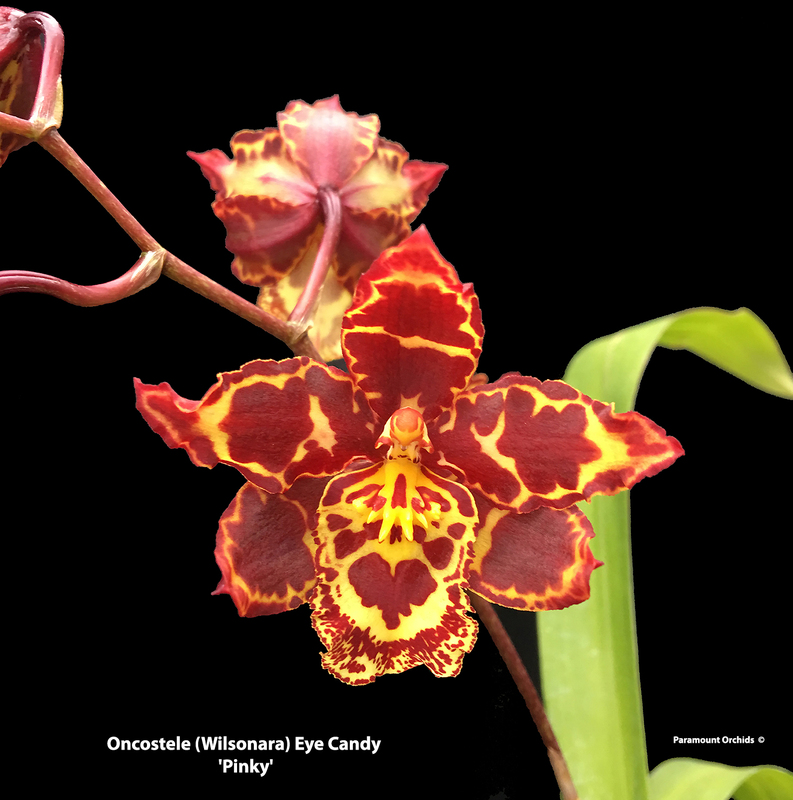 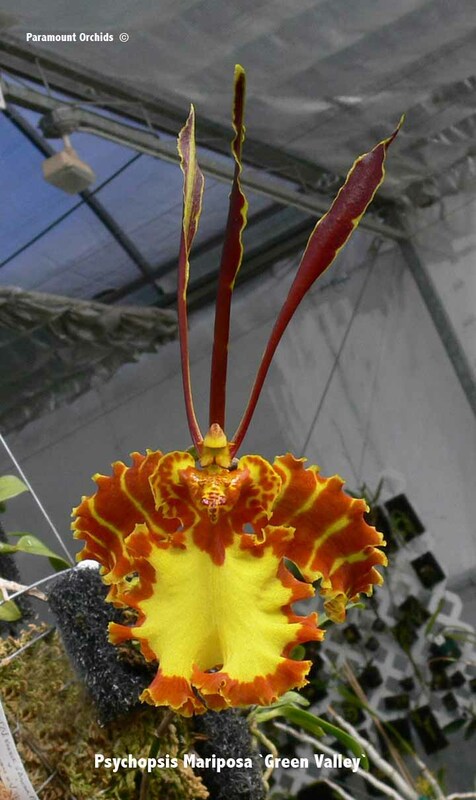 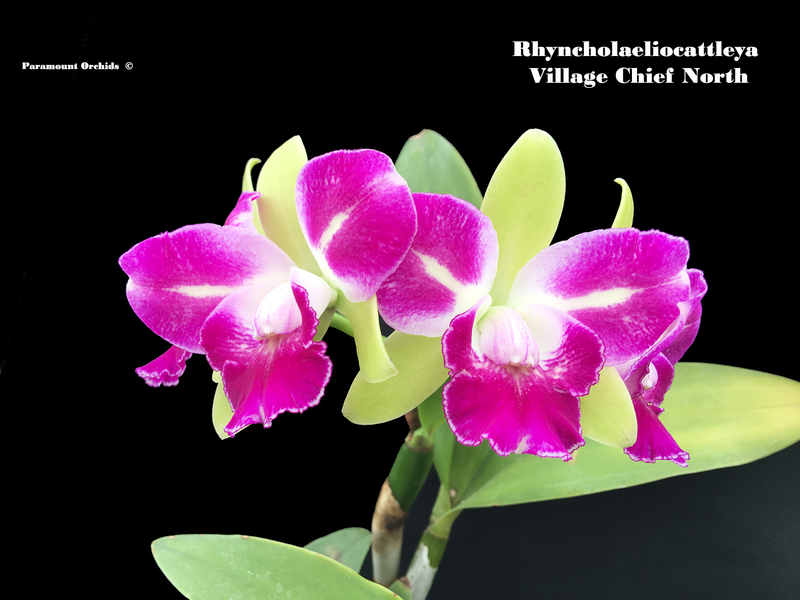 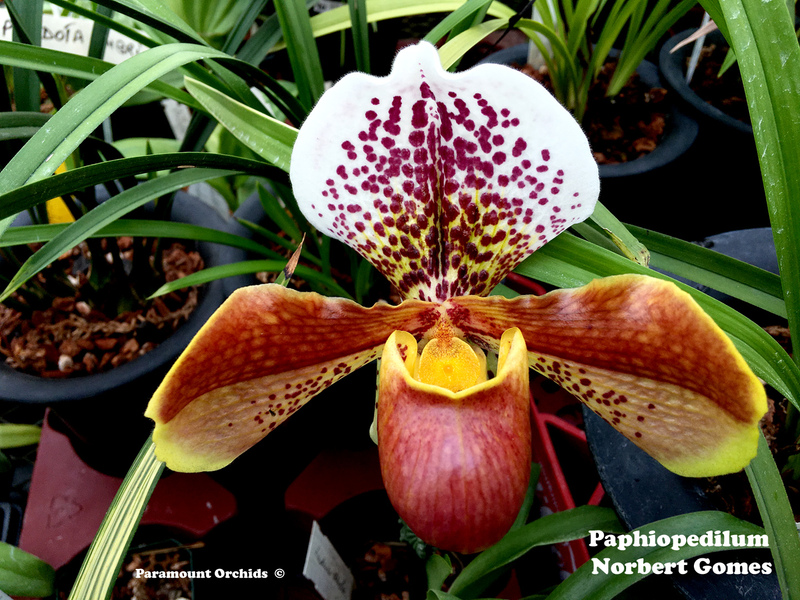 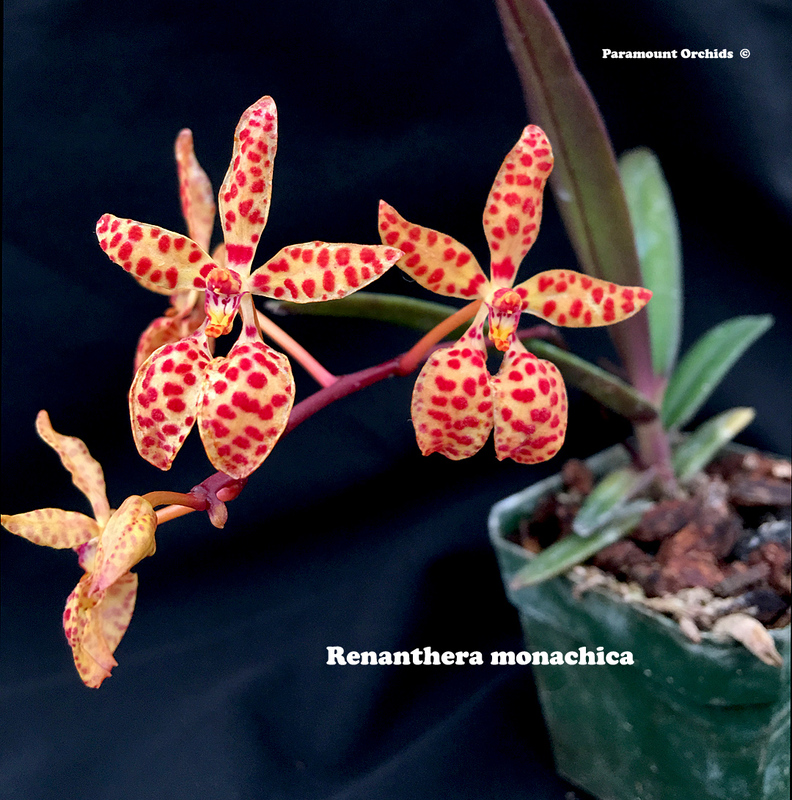 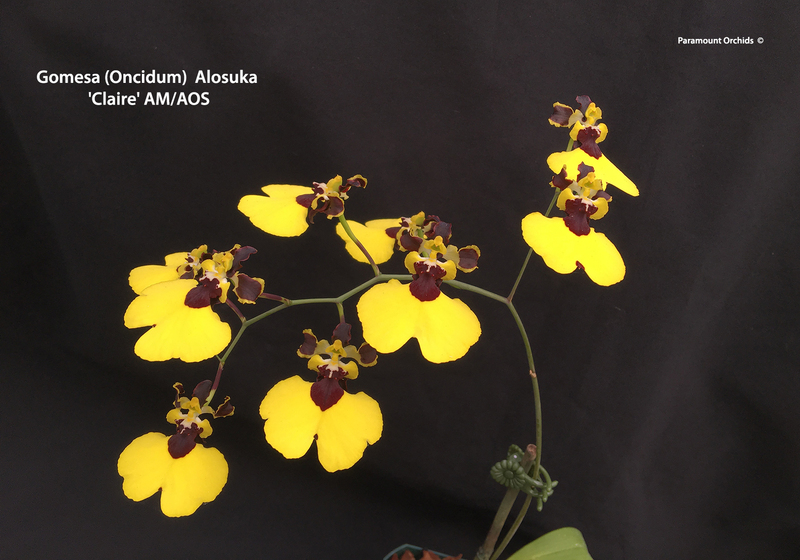 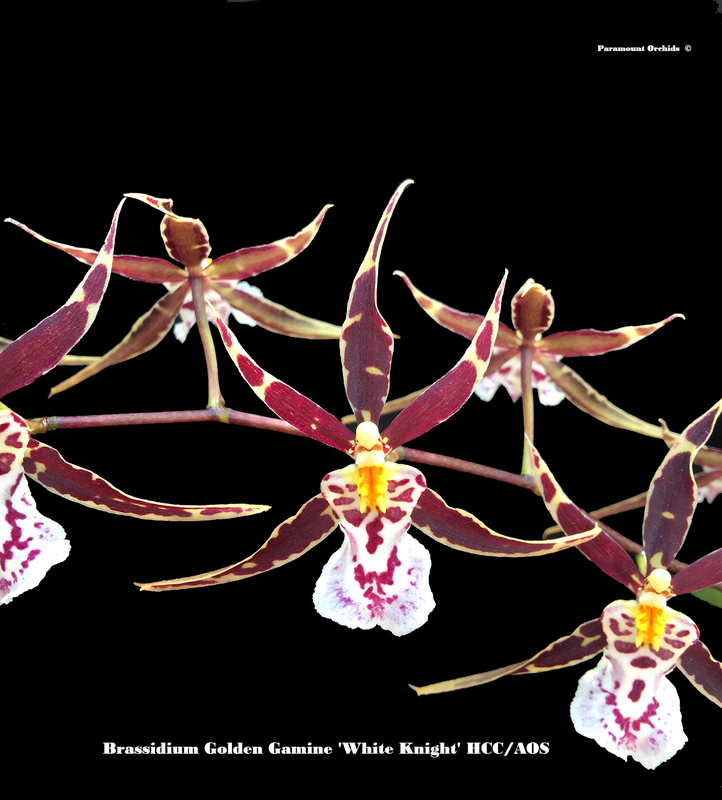 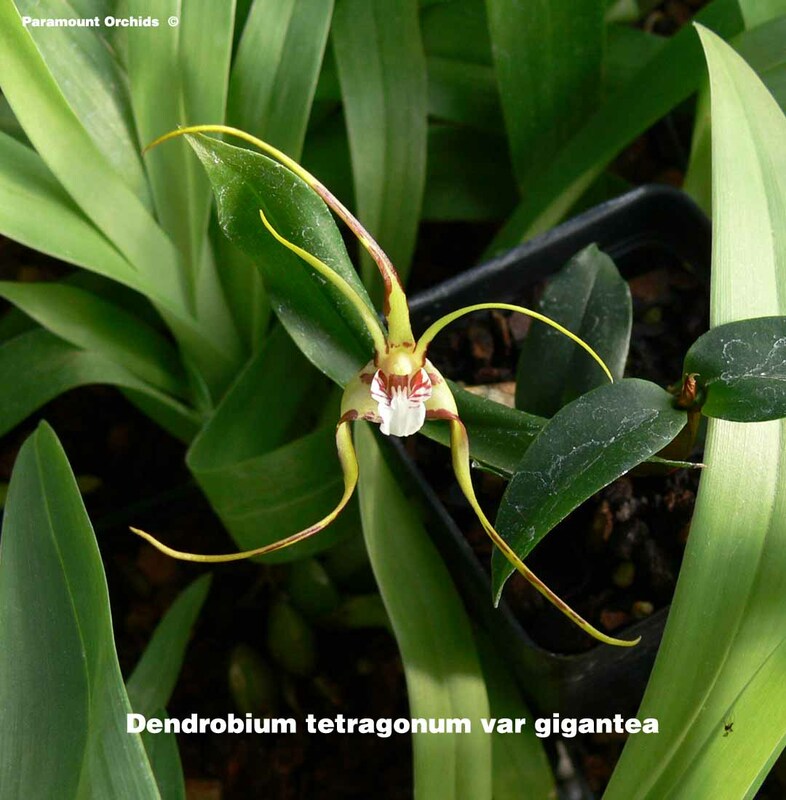 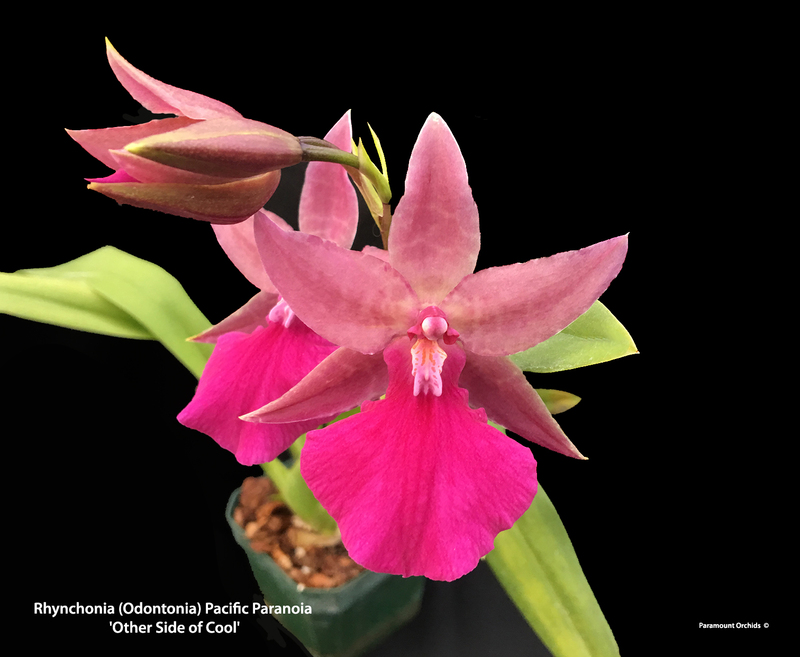 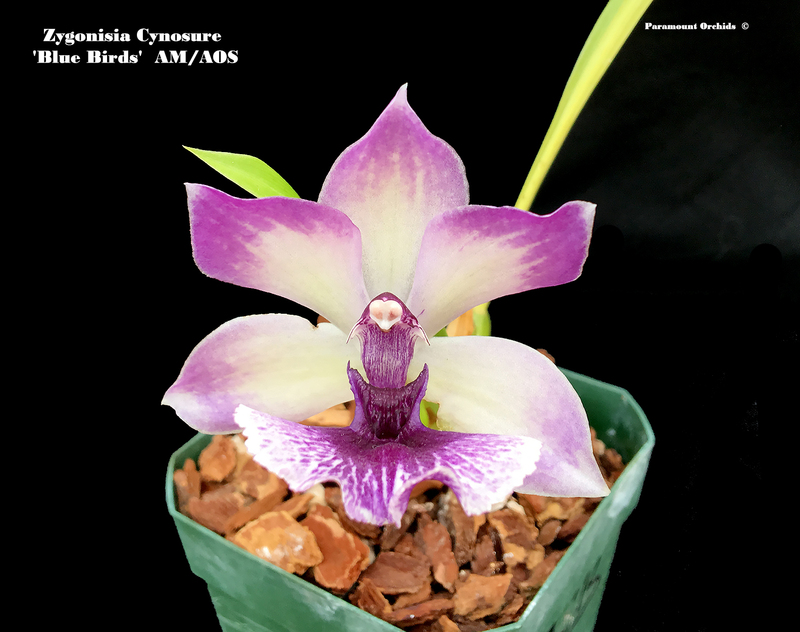 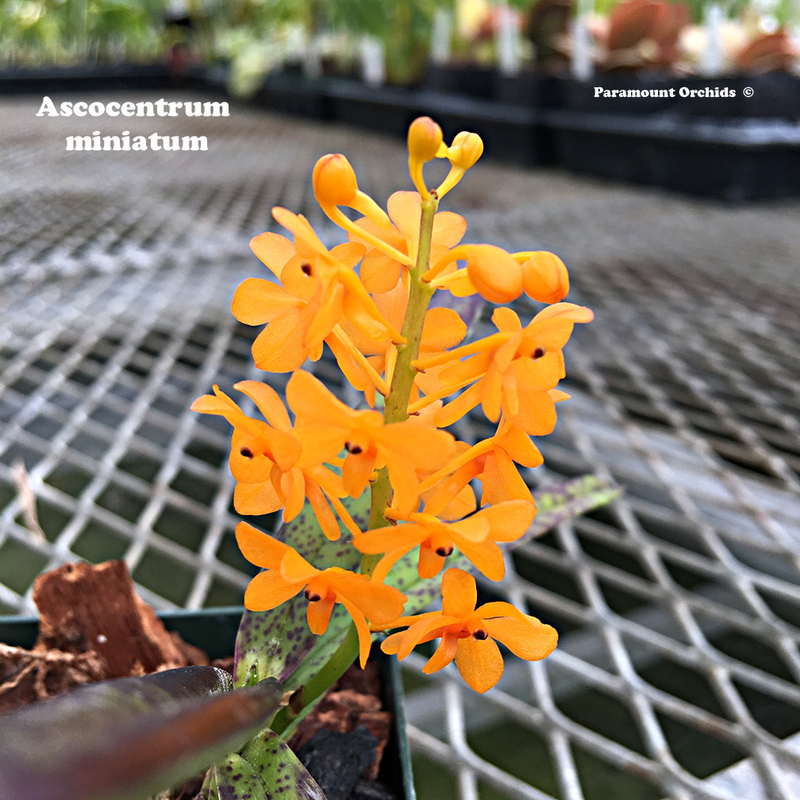 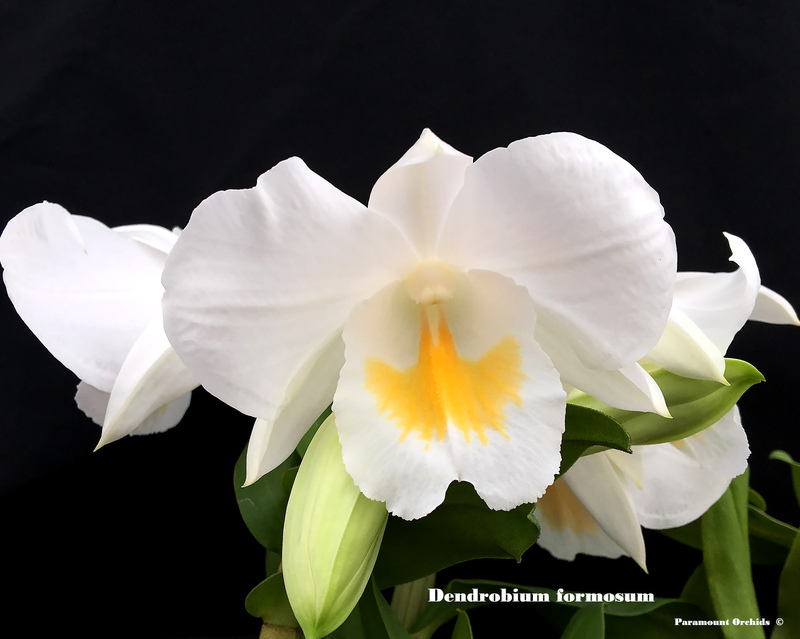 Paramount Orchids continuously imports, and propagates, new plant material to ensure that we always have a diverse and unique selection of plants for sale. 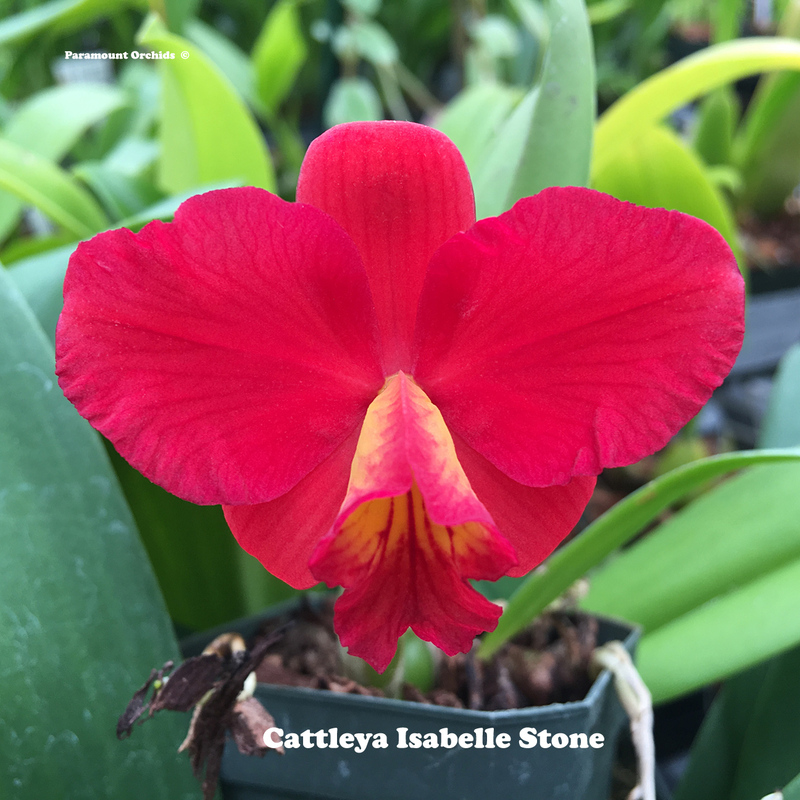 Our current stock totals approximately 35,000 plants (seedlings to flowering size) and, as a result, we always have something new, or unusual, in flower. 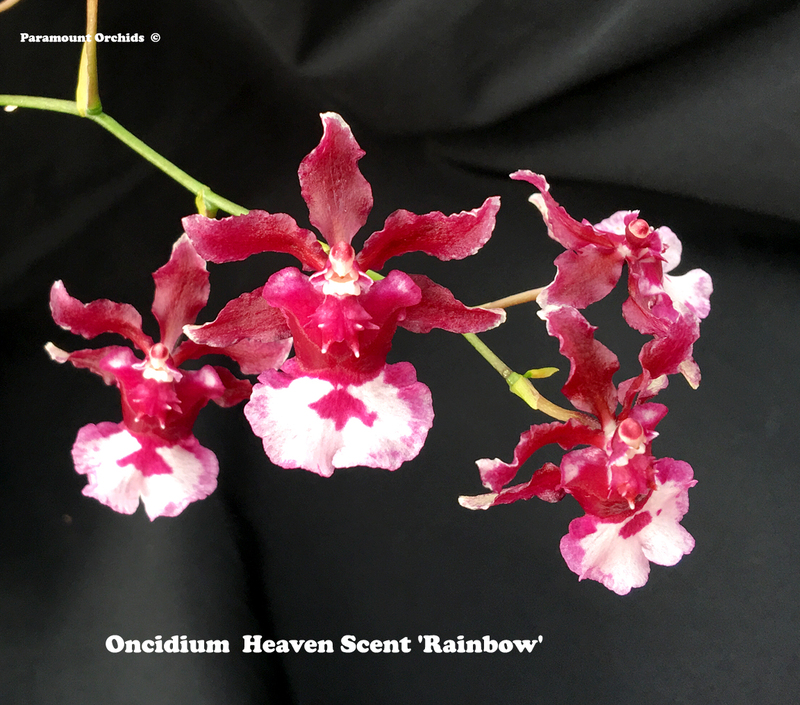 It would be impossible to maintain a current listing of everything that we have in flower, however, we feature on this page certain select plants that we believe will catch the interest of both novice grower and collector alike. 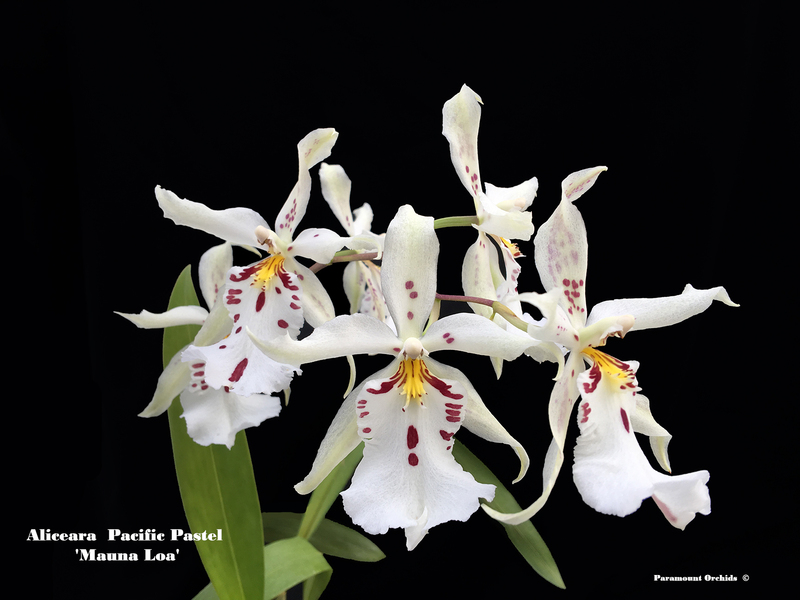 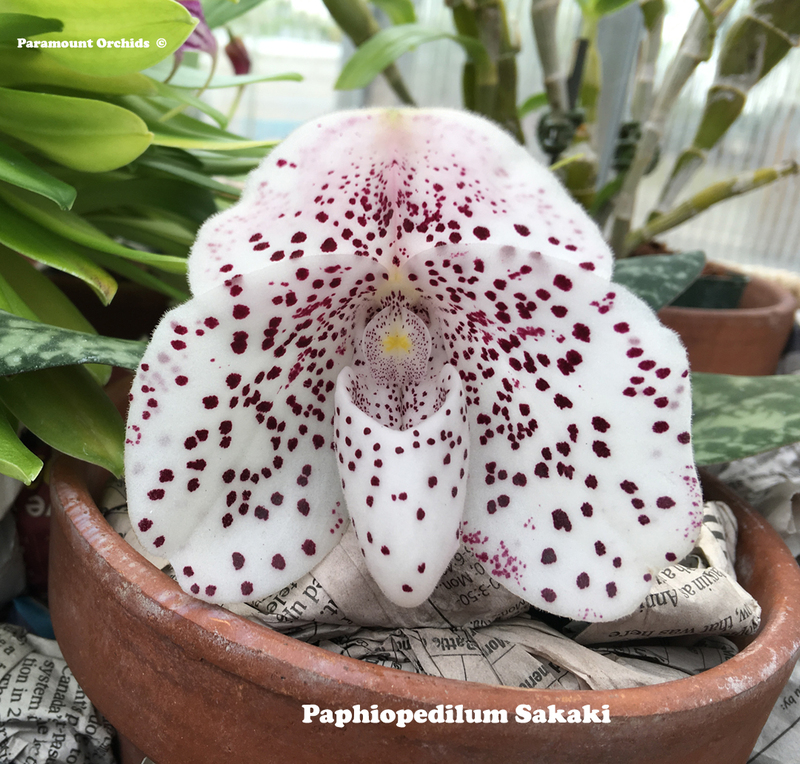 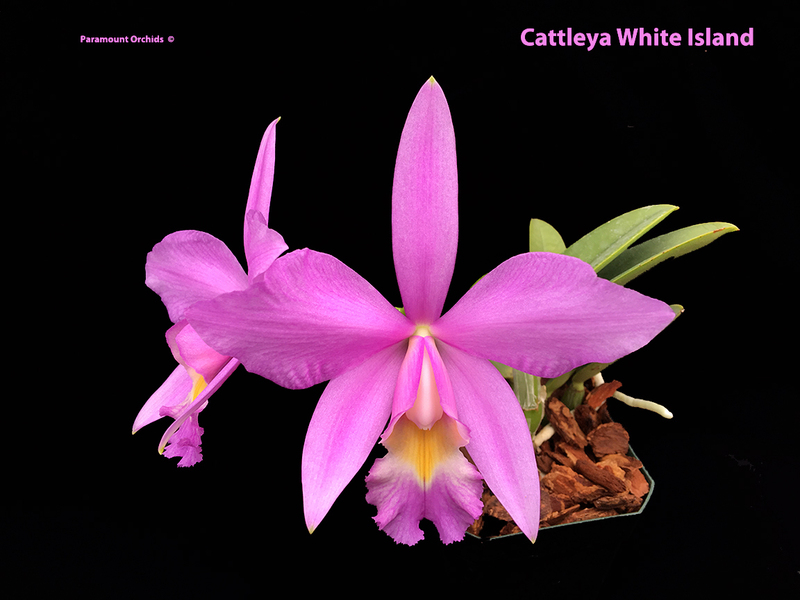 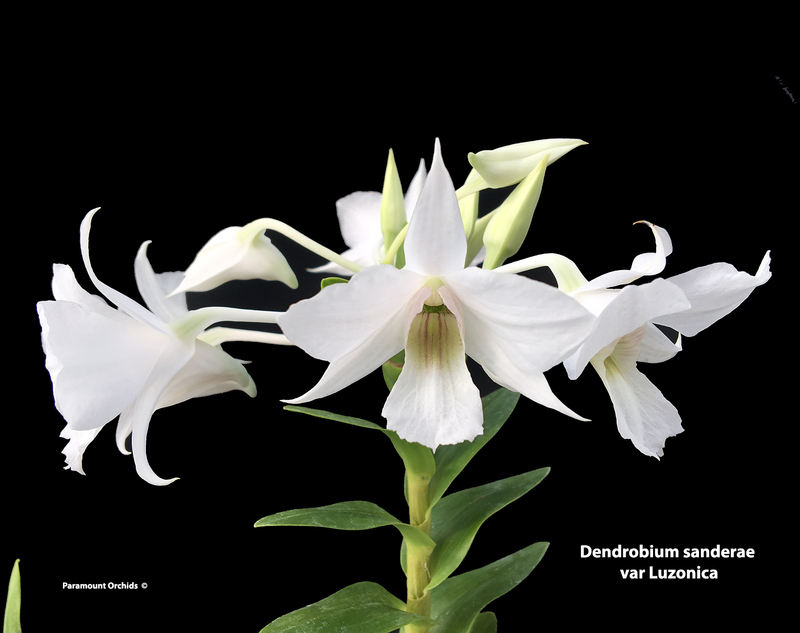 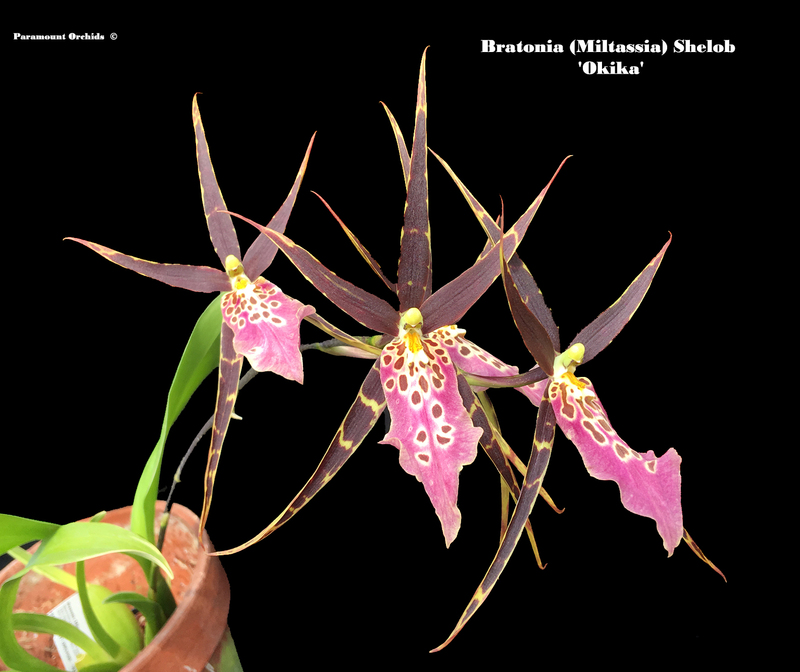 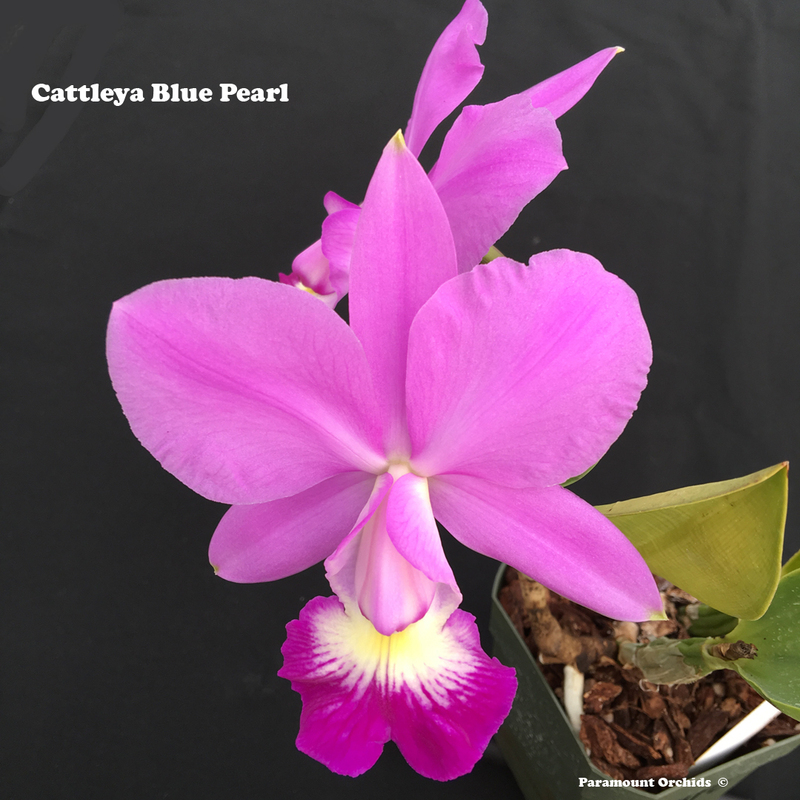 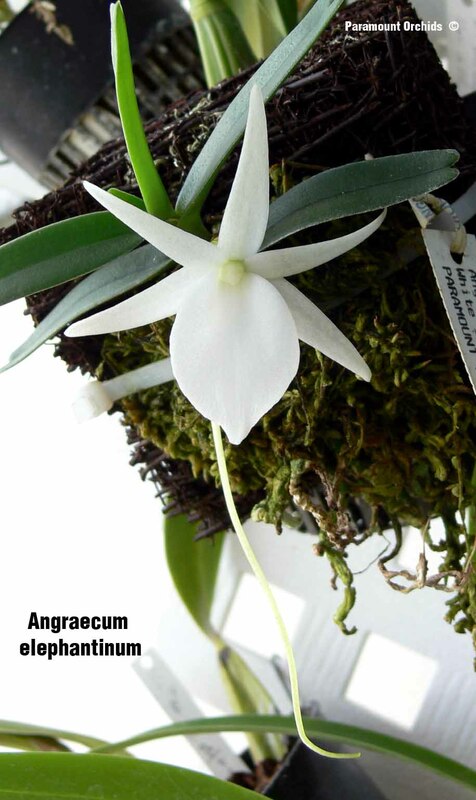 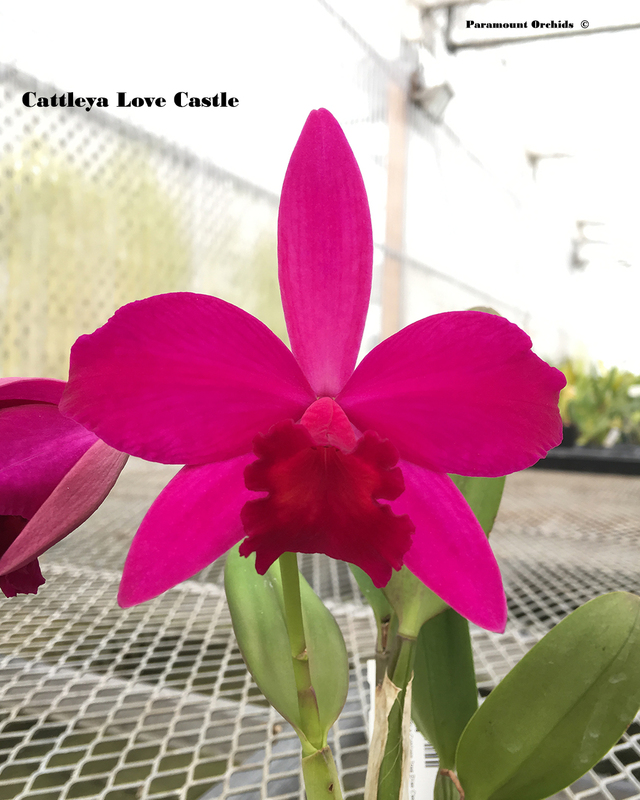 The plants we are currently listing are a selection from plants that are in spike, recent imports or which we believe are particularly noteworthy. 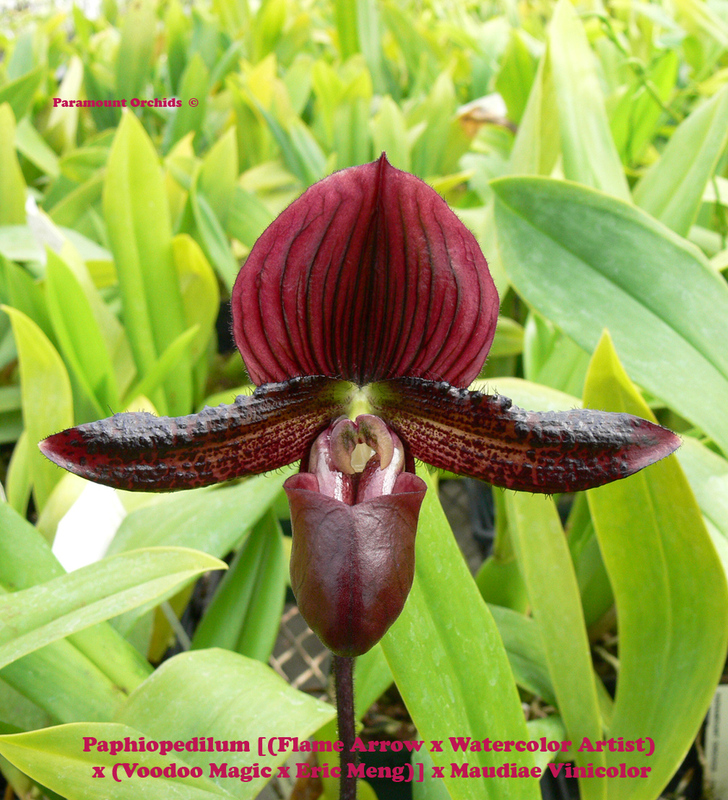 Please check our web page frequently as we regularly update it to take into account new plant importations or de-flasked seedlings. 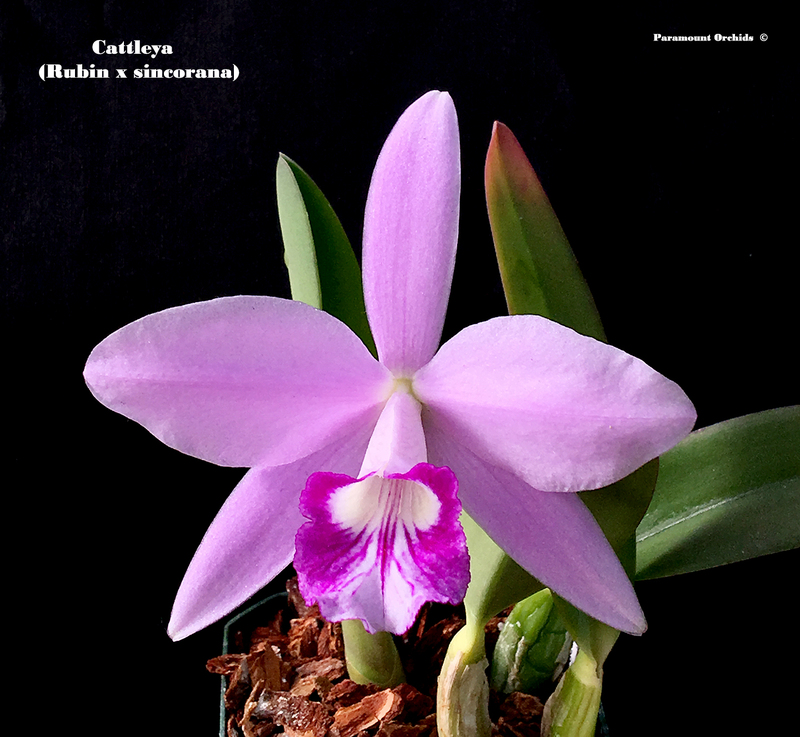 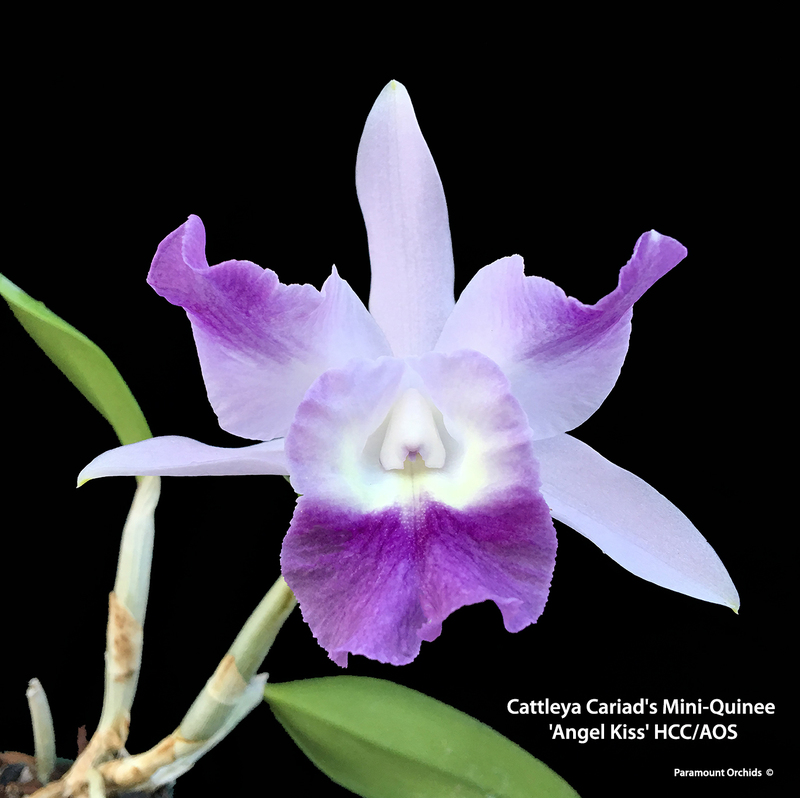 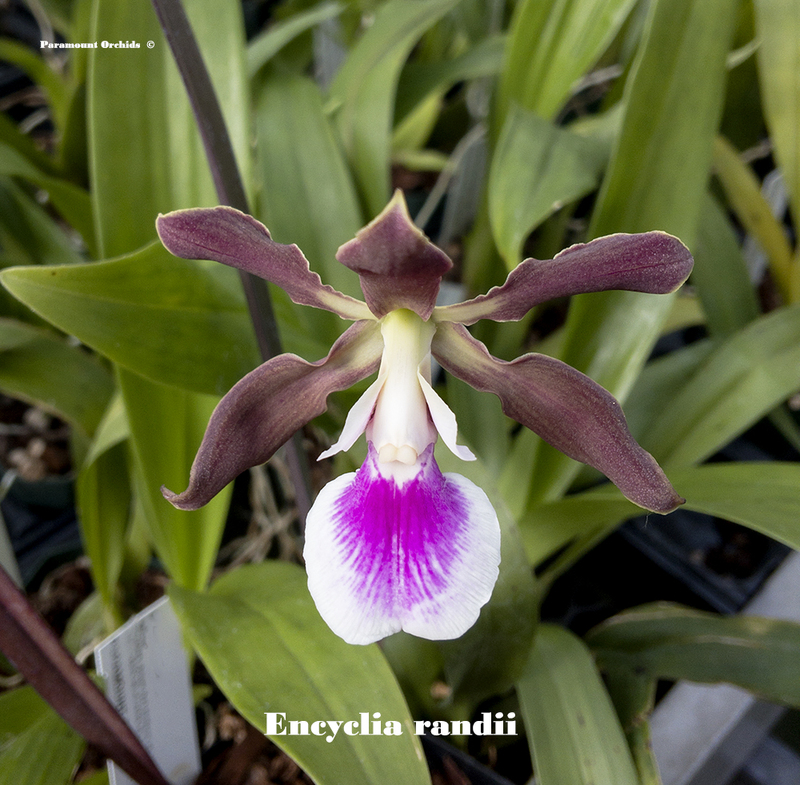 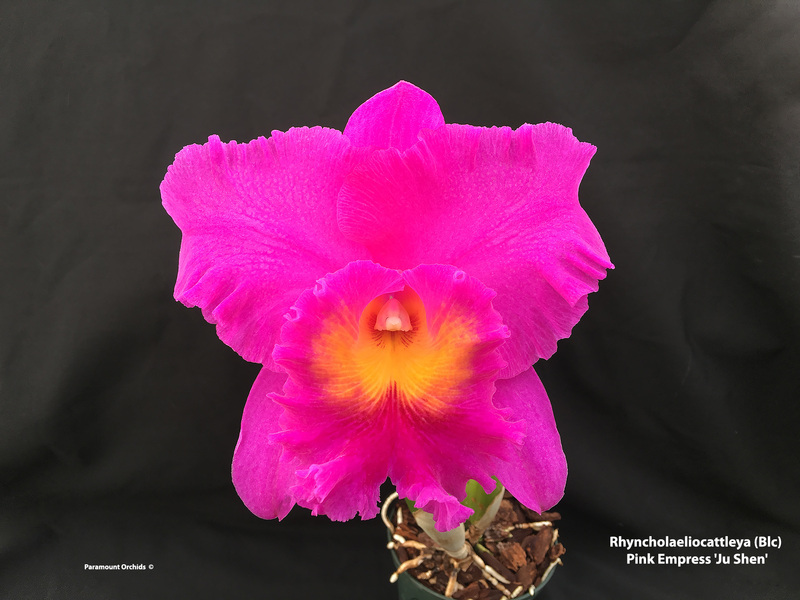 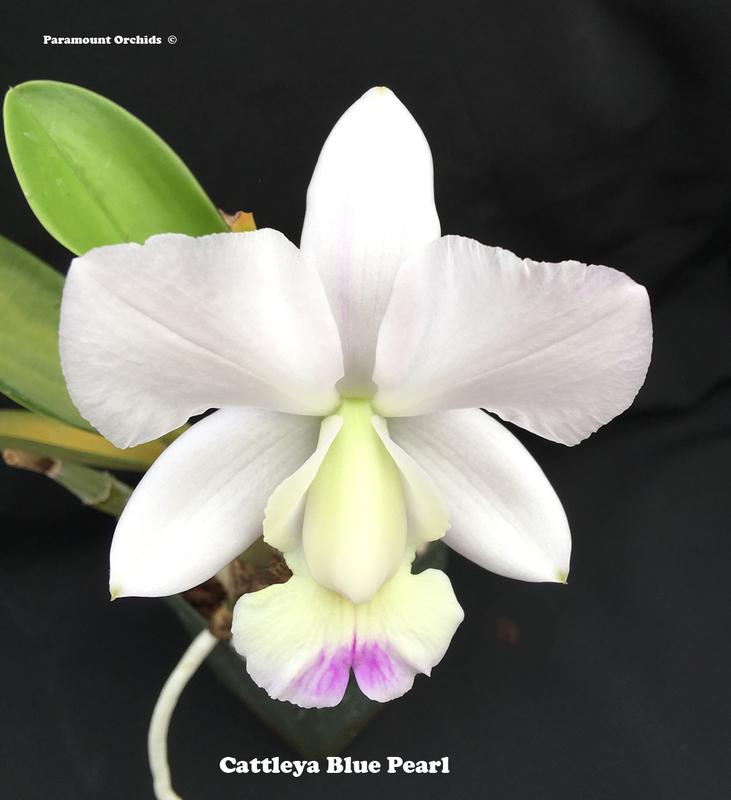 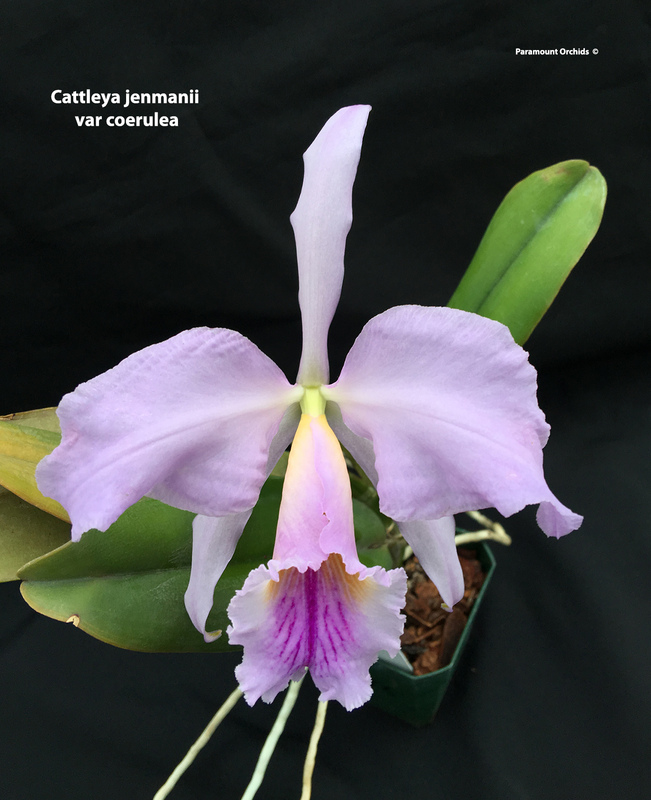 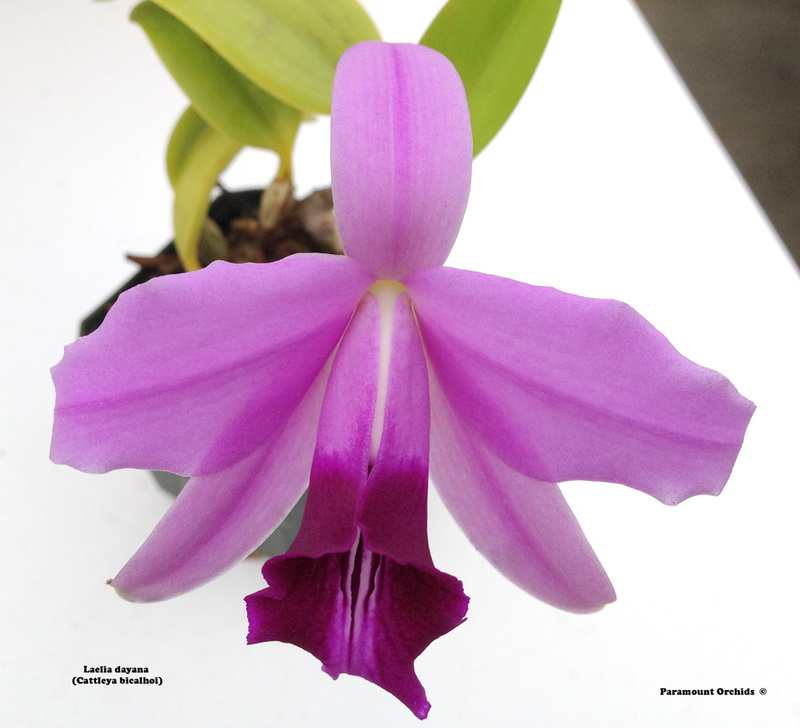 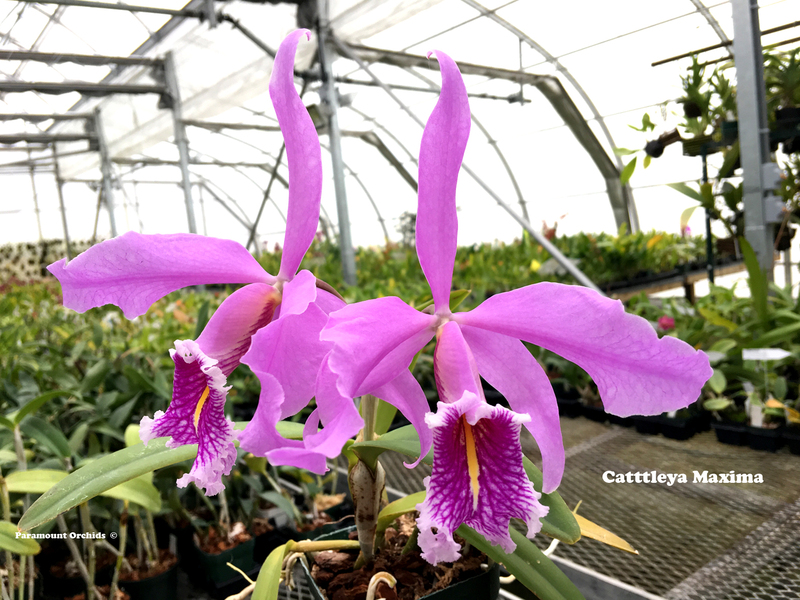 Epilaeliocattleya Rene Marquez Epi. 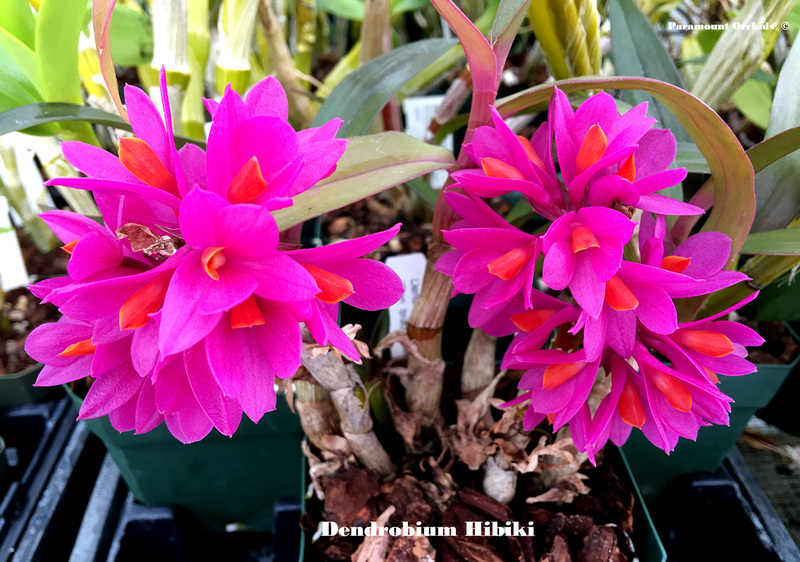 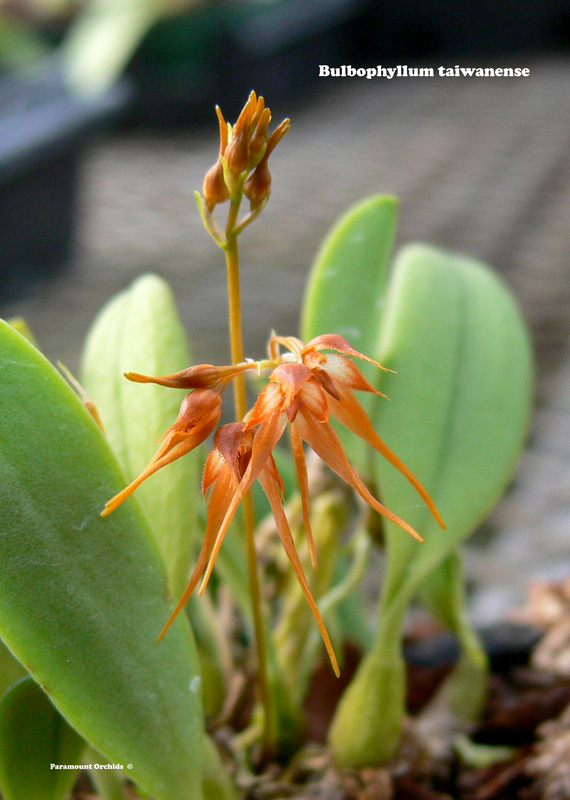 pseudepidendrum x C. Claesiana Lots of 3" - 4" flowers on the cross. 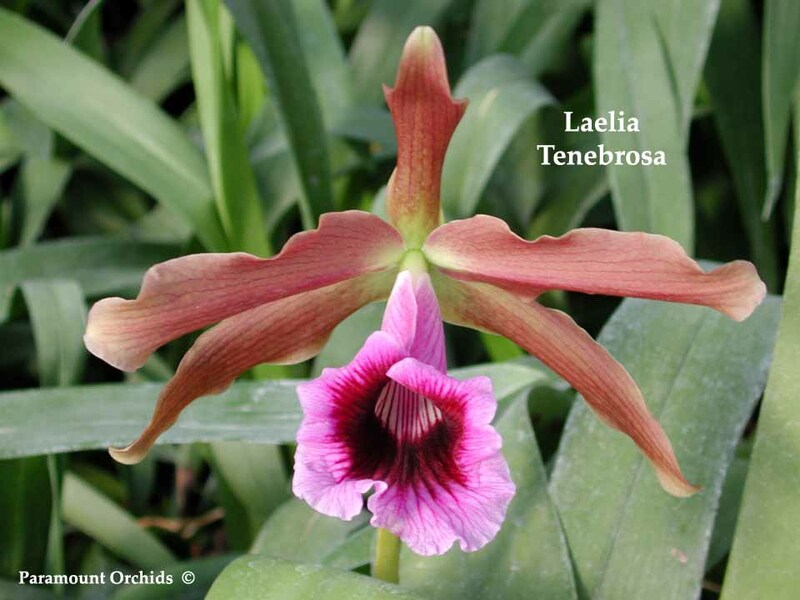 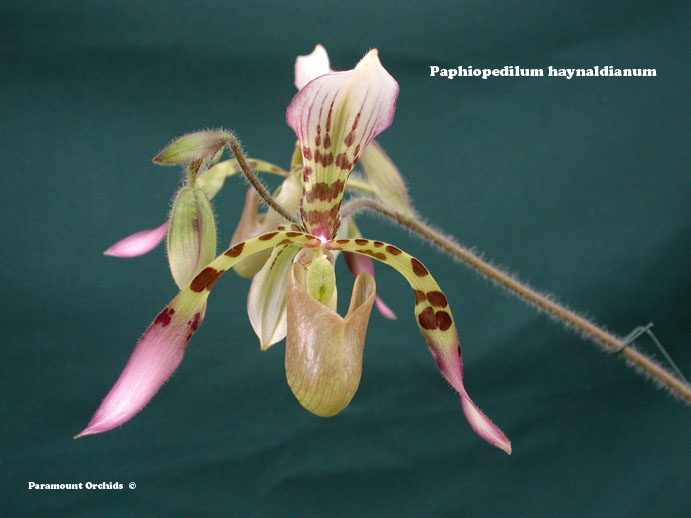 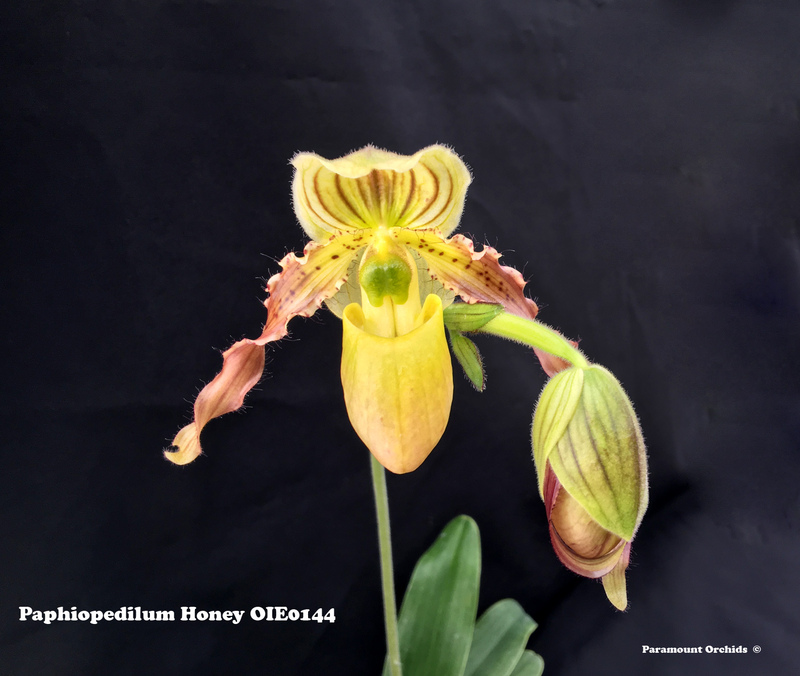 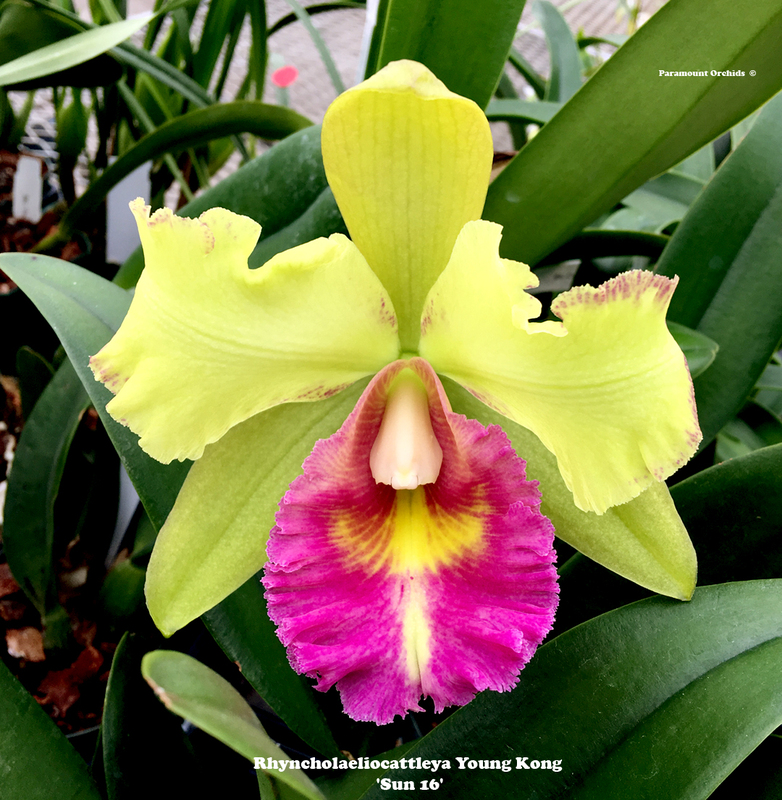 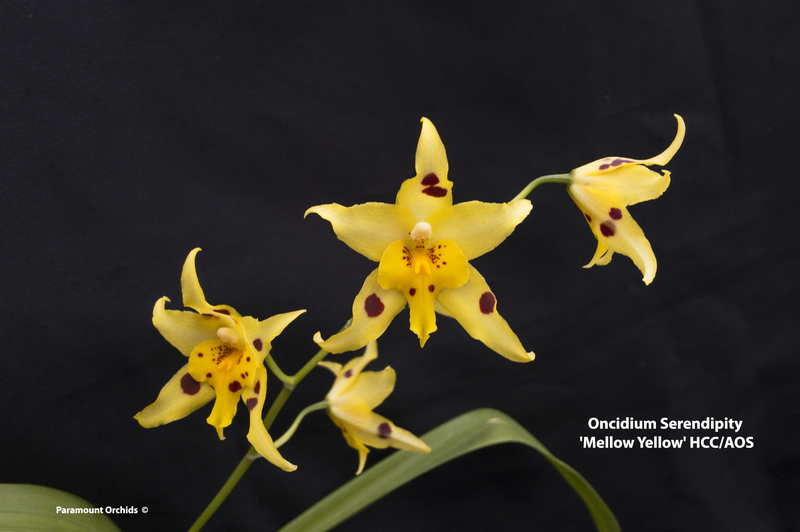 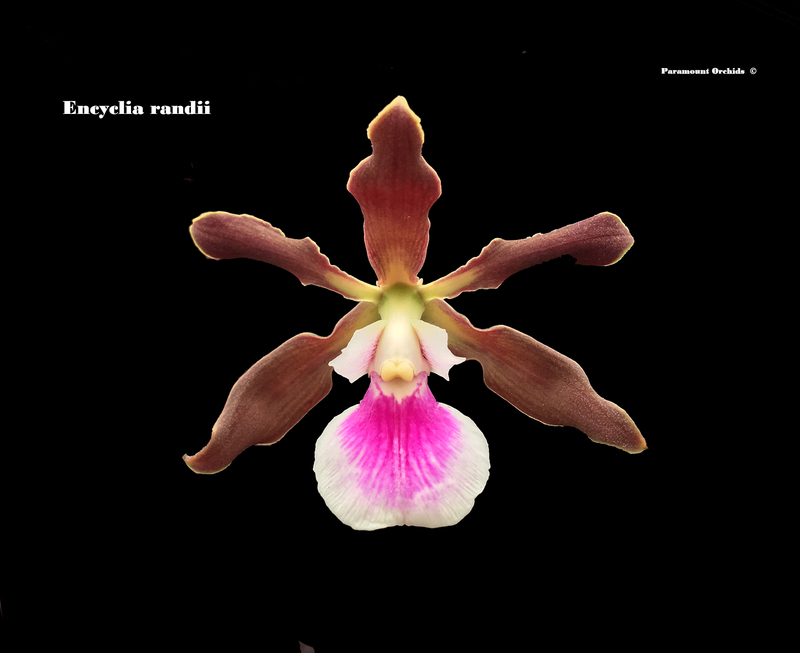 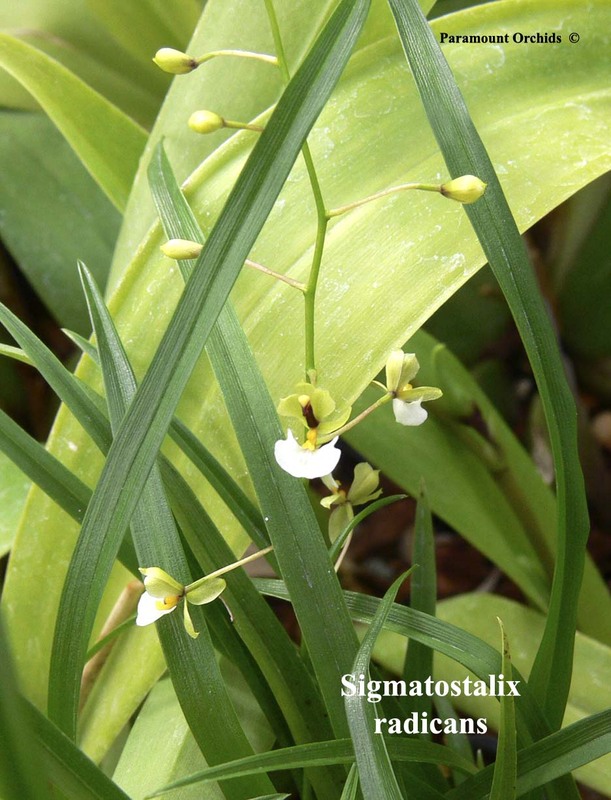 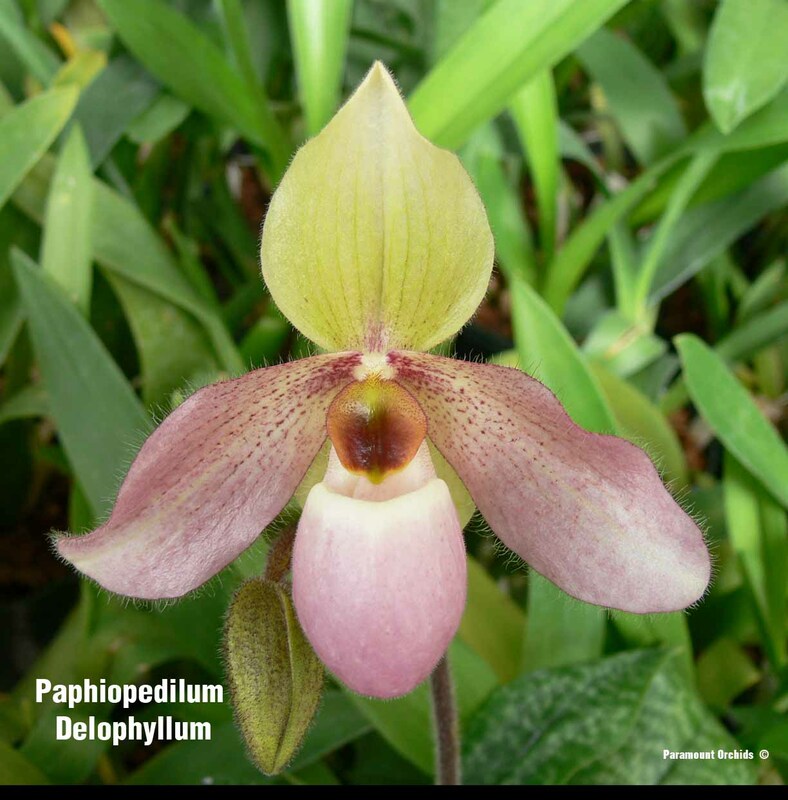 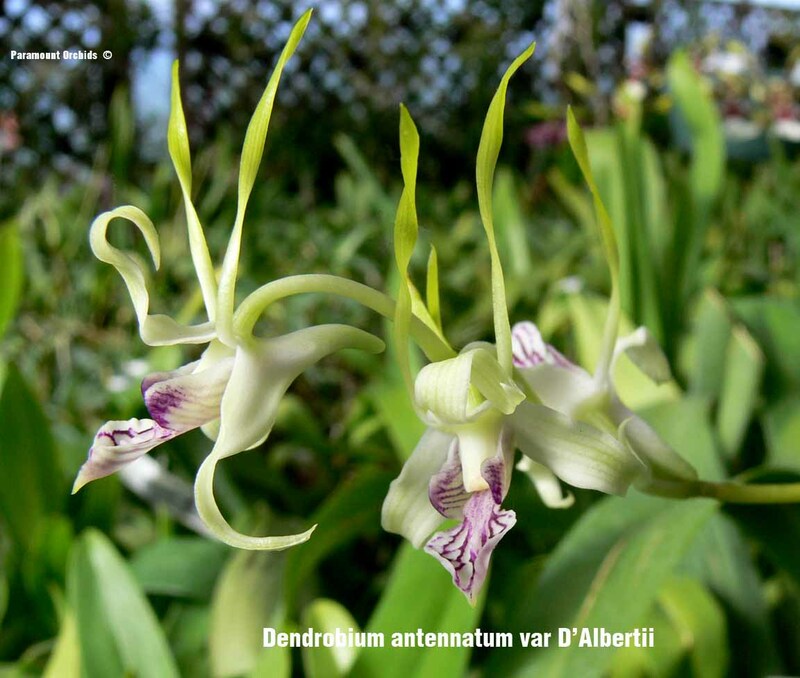 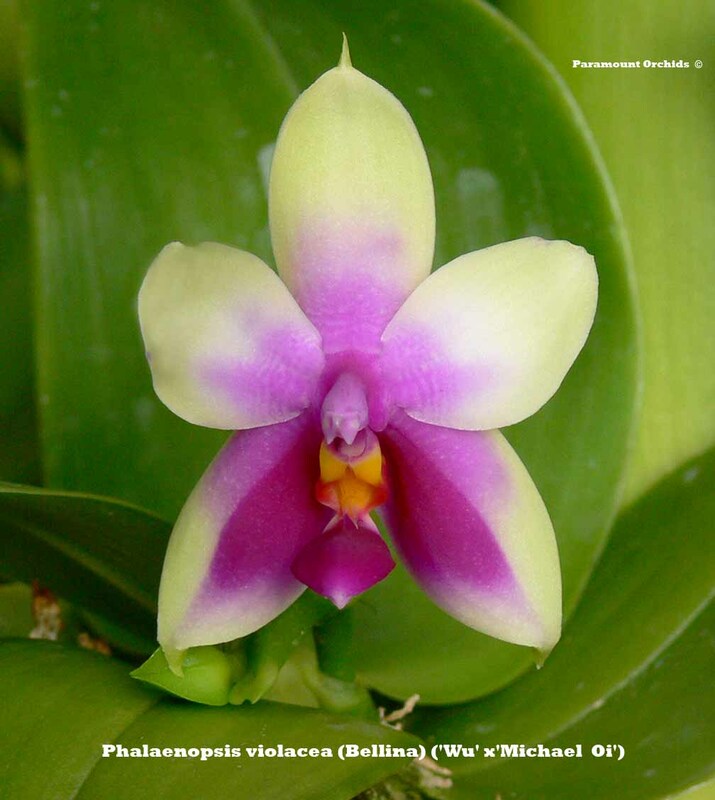 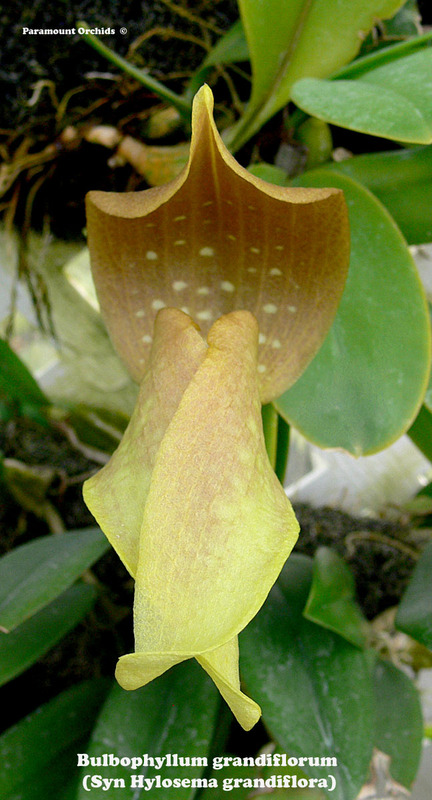 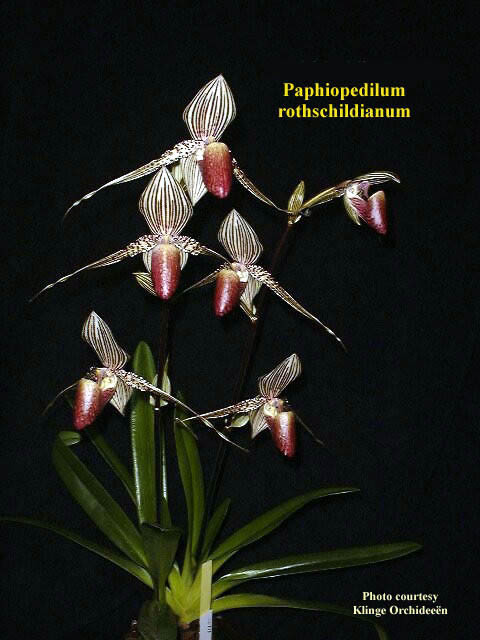 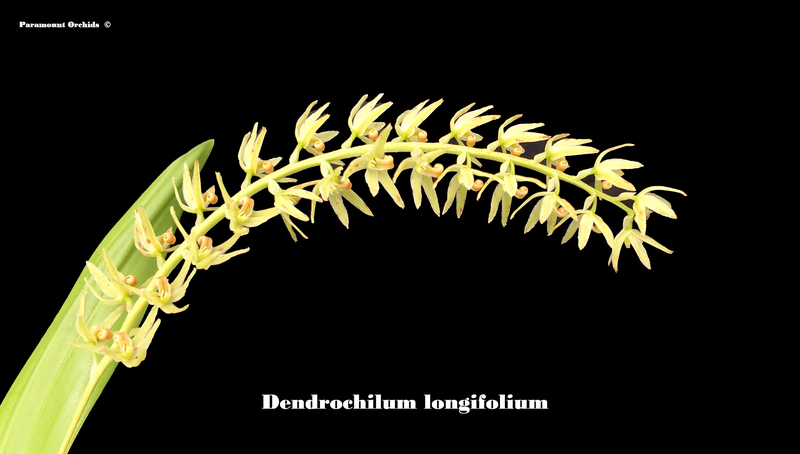 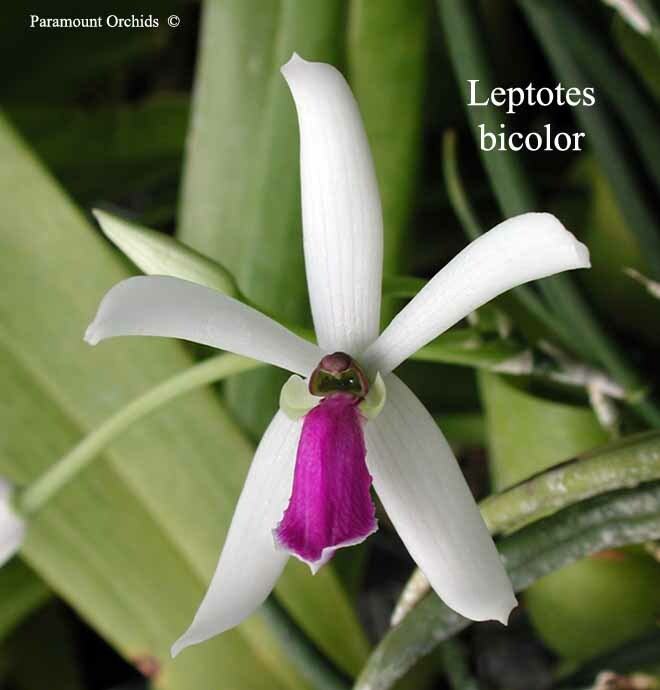 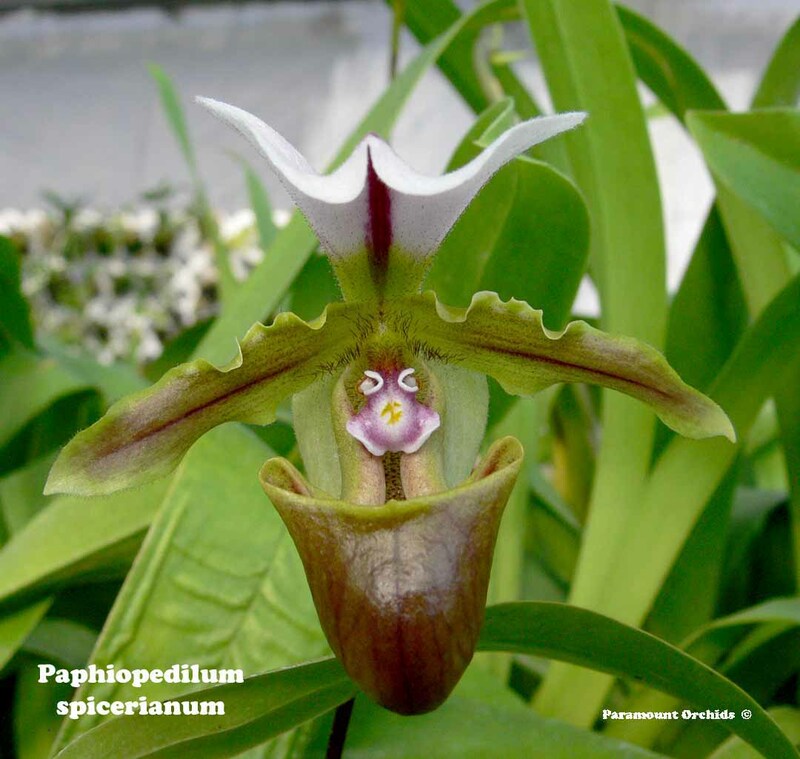 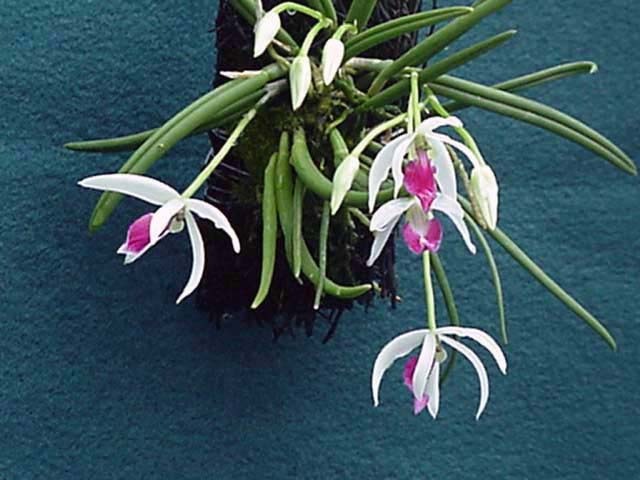 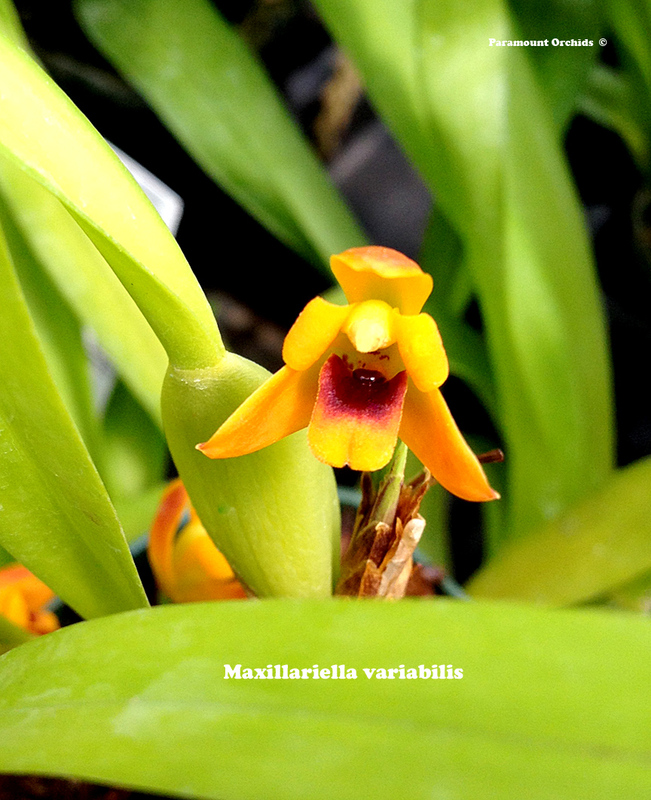 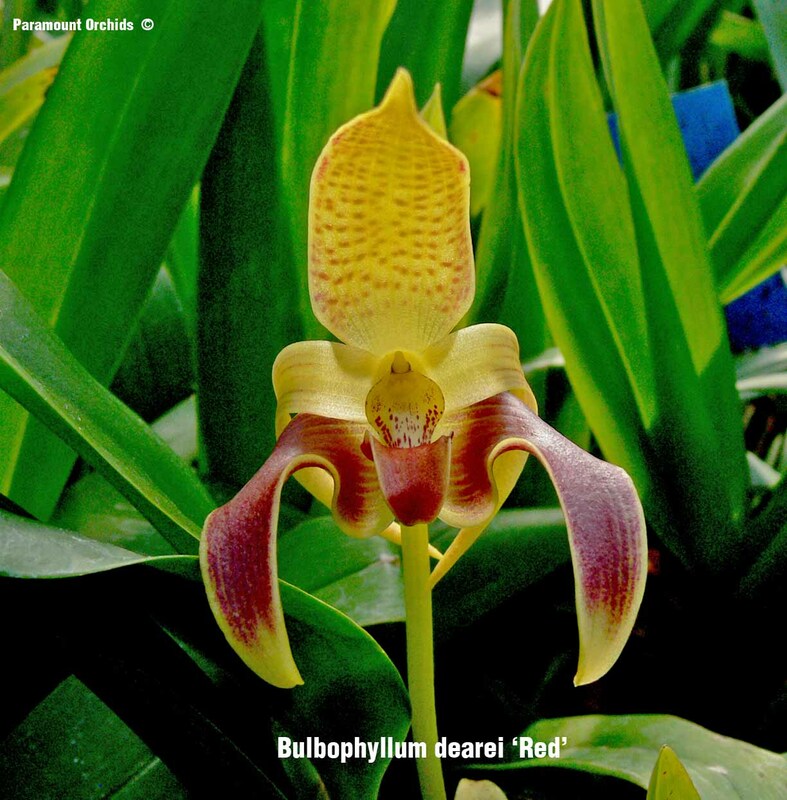 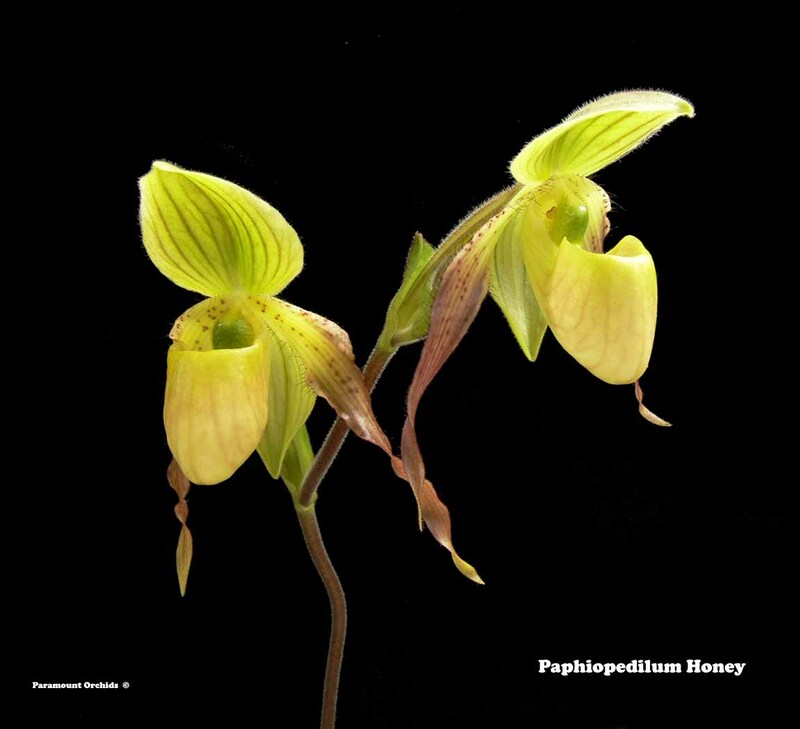 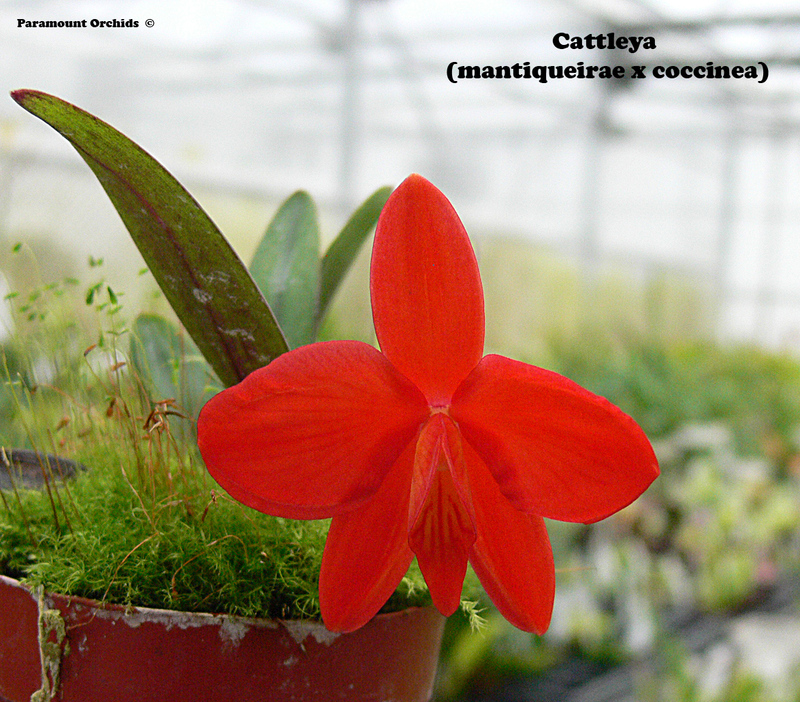 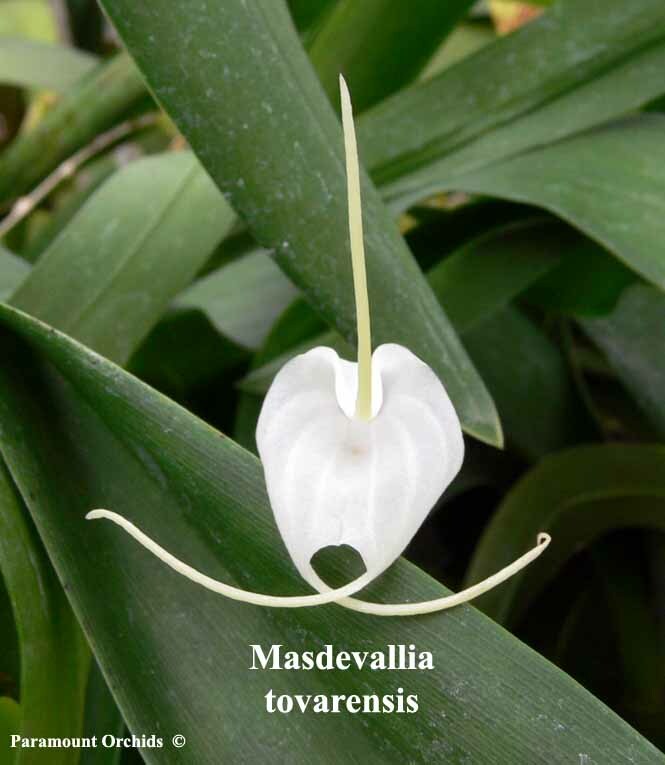 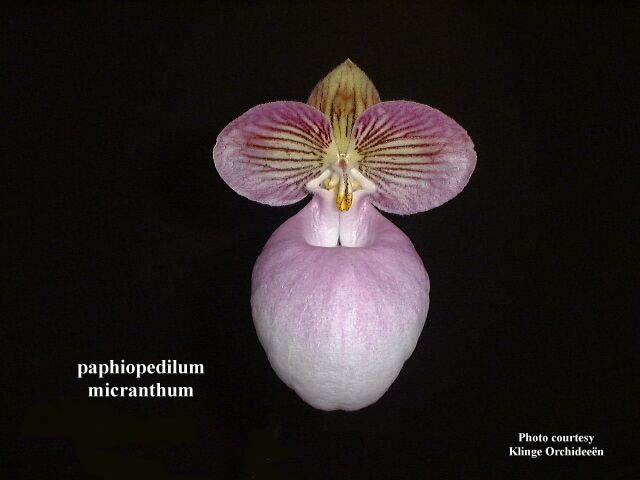 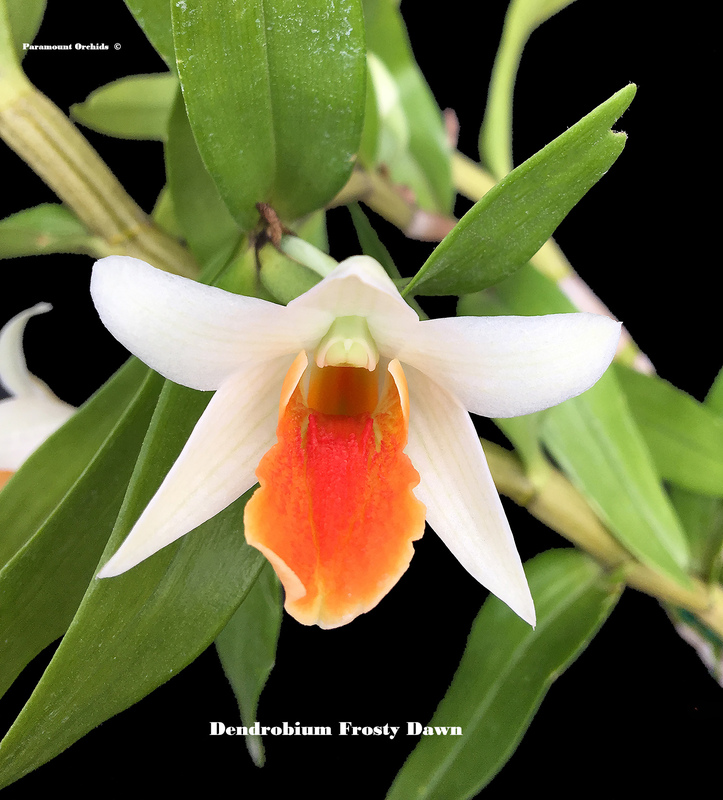 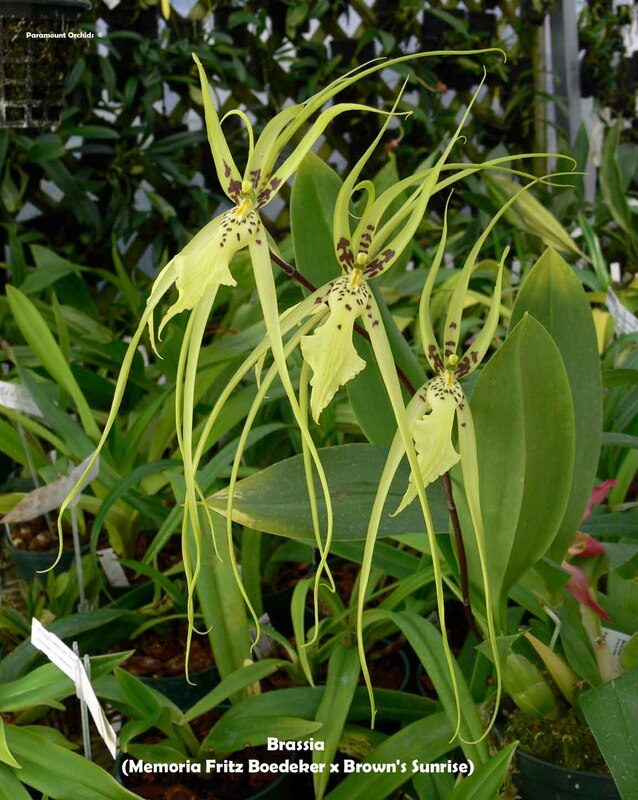 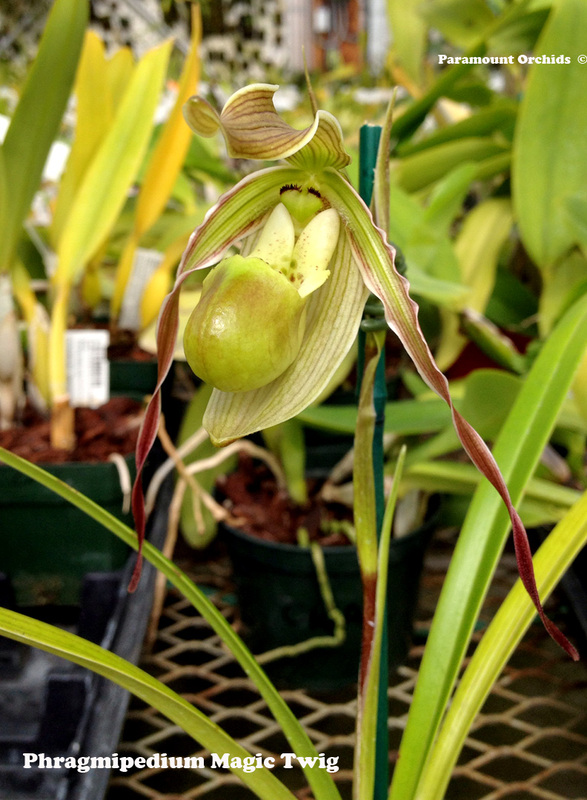 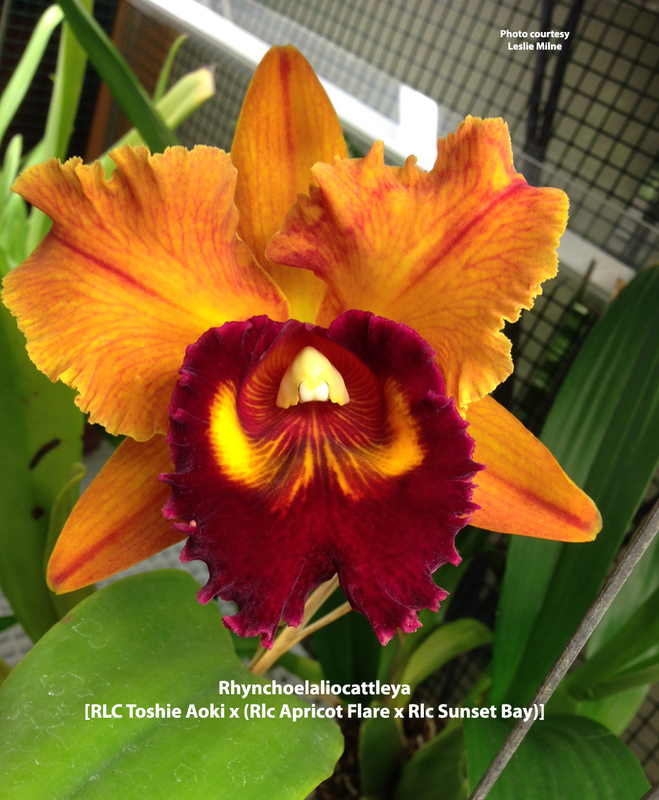 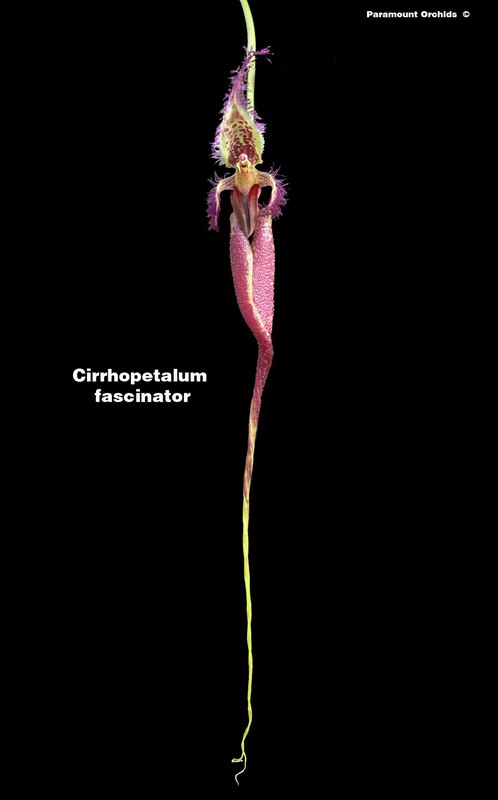 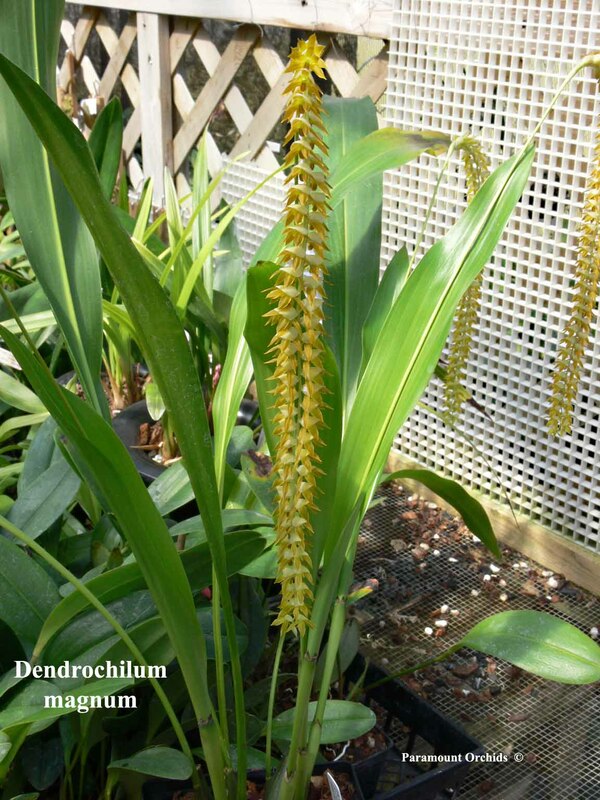 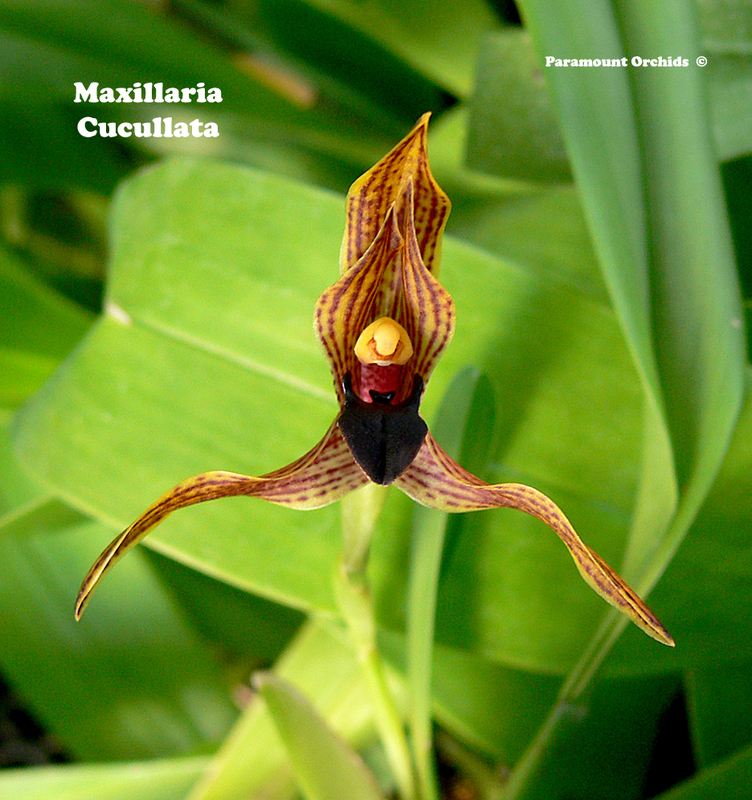 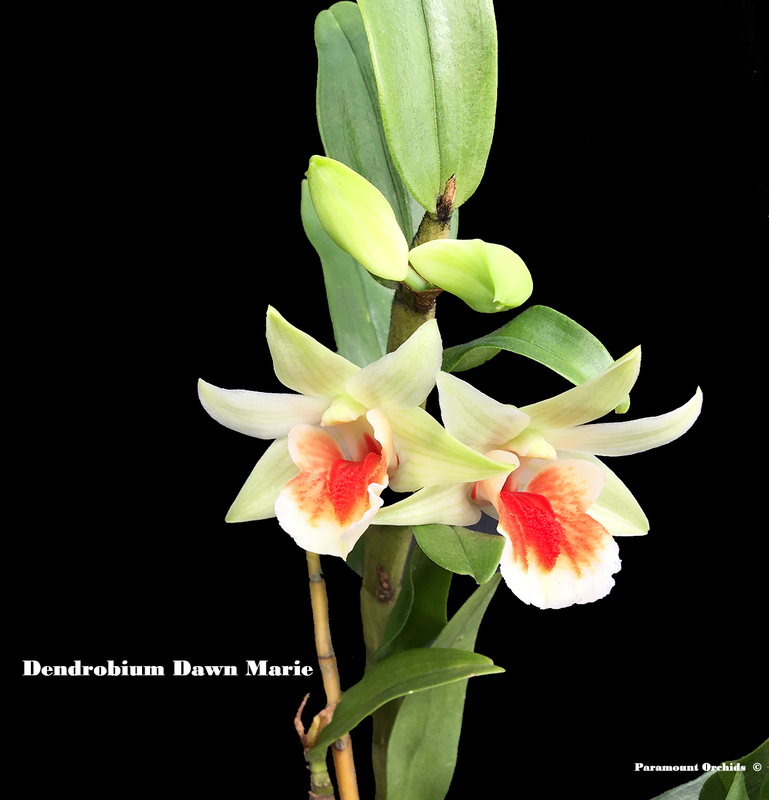 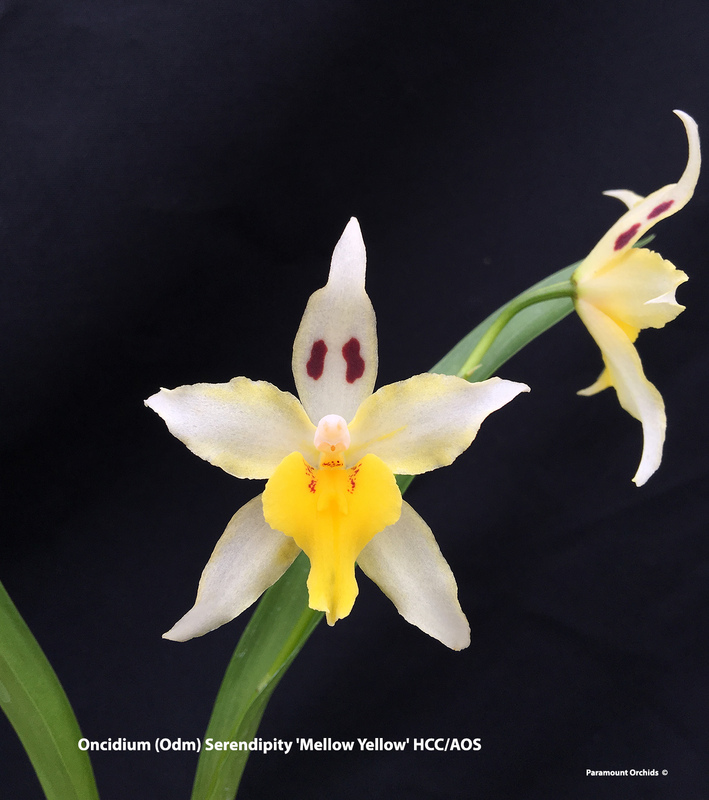 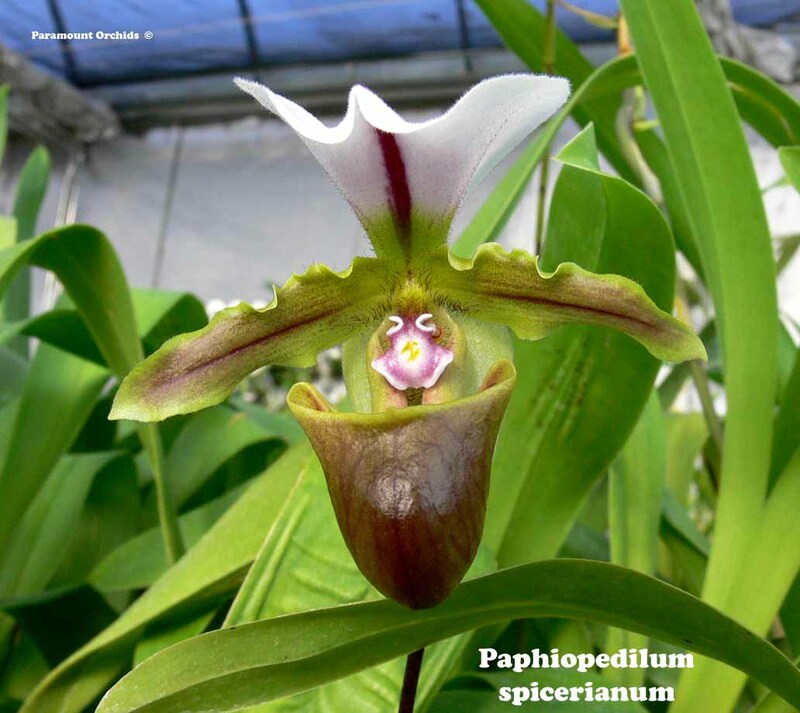 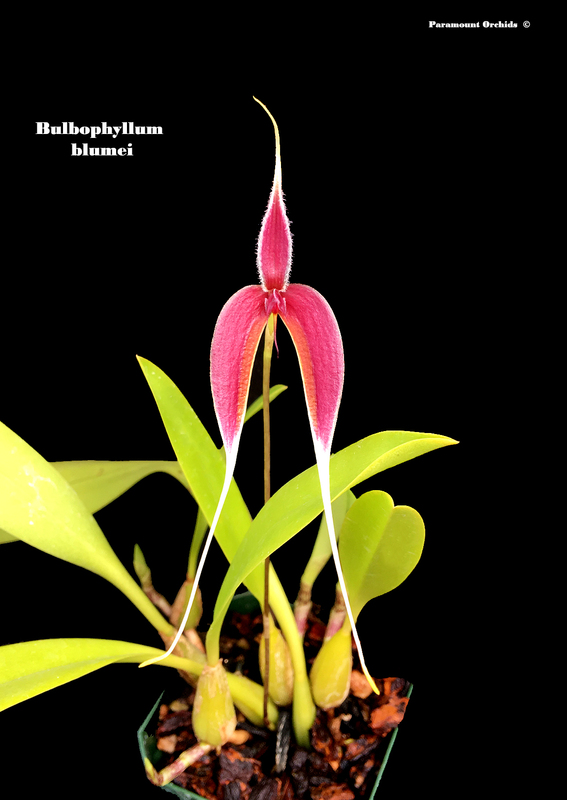 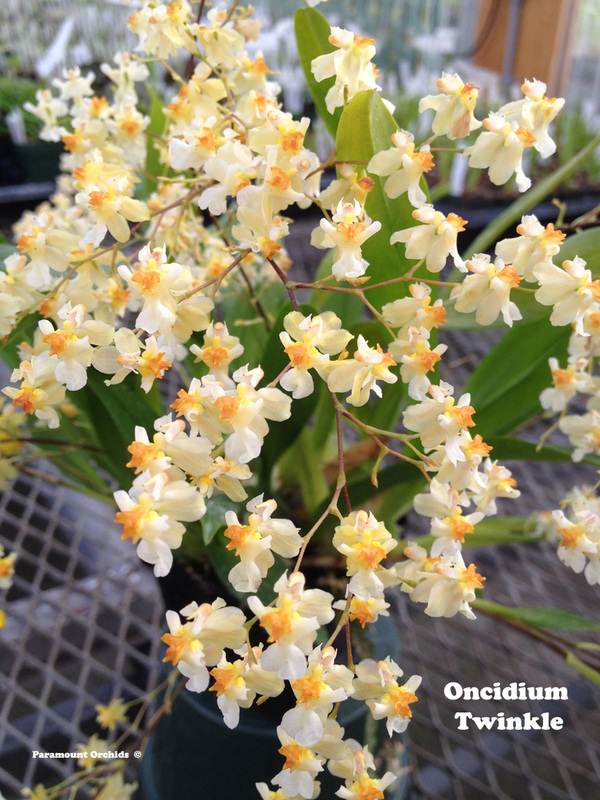 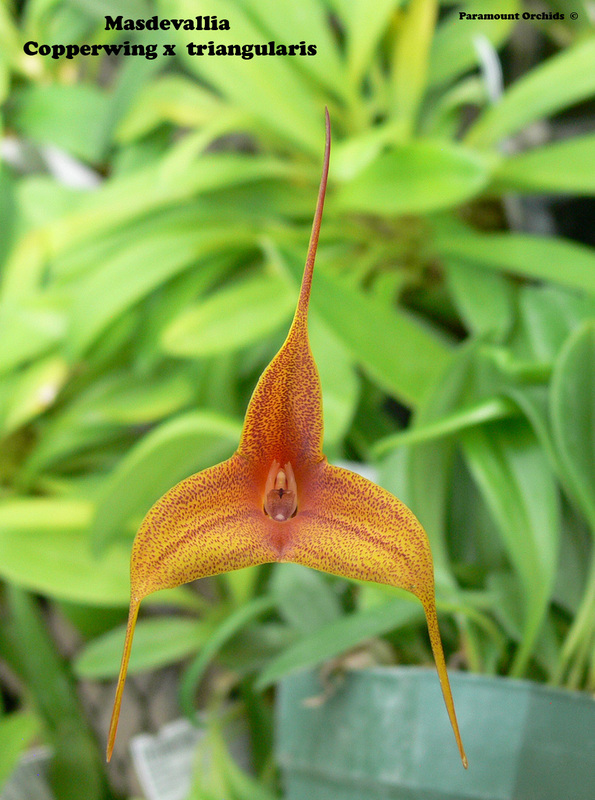 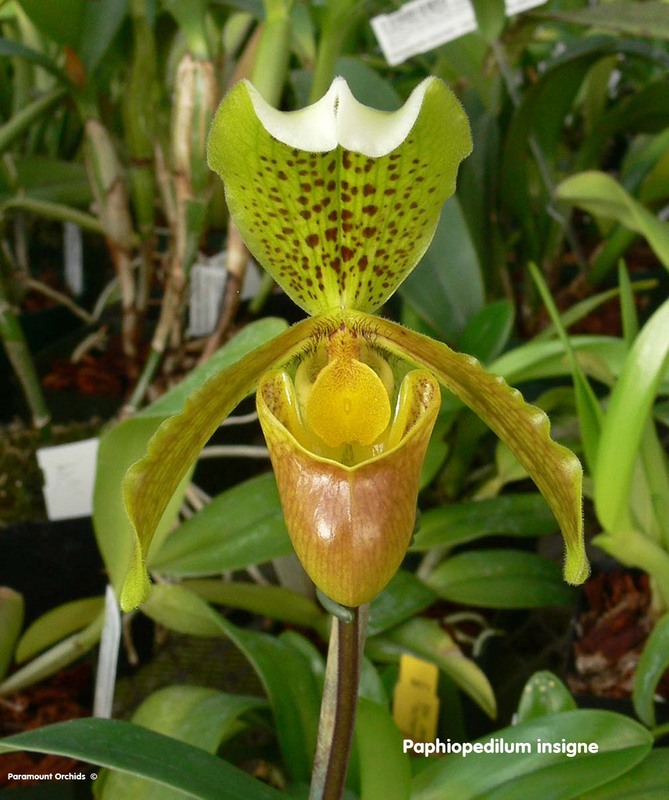 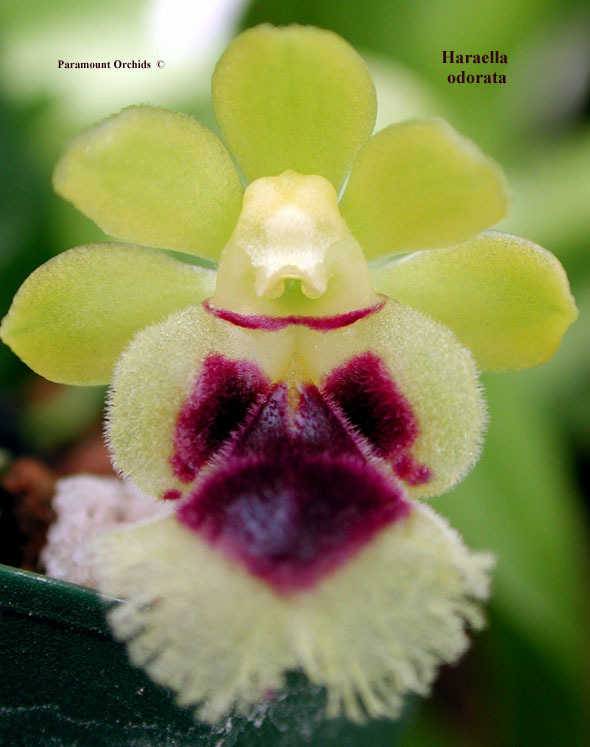 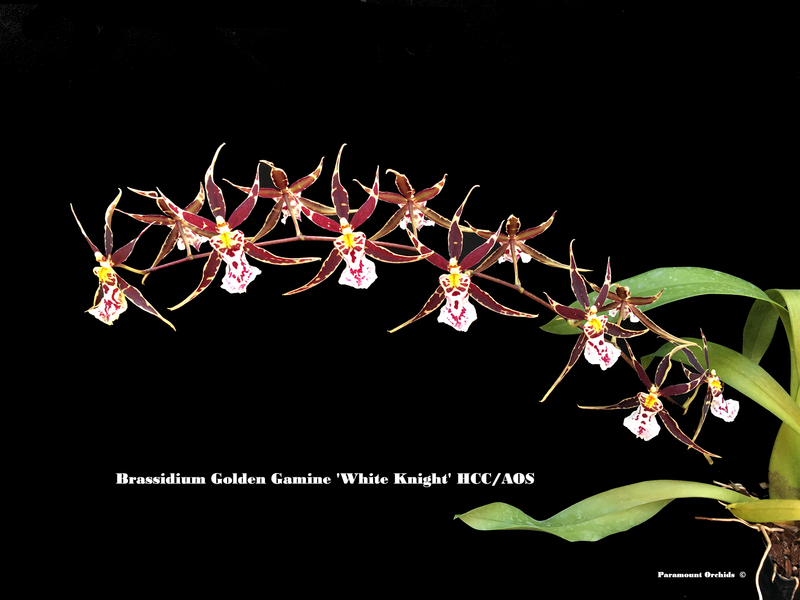 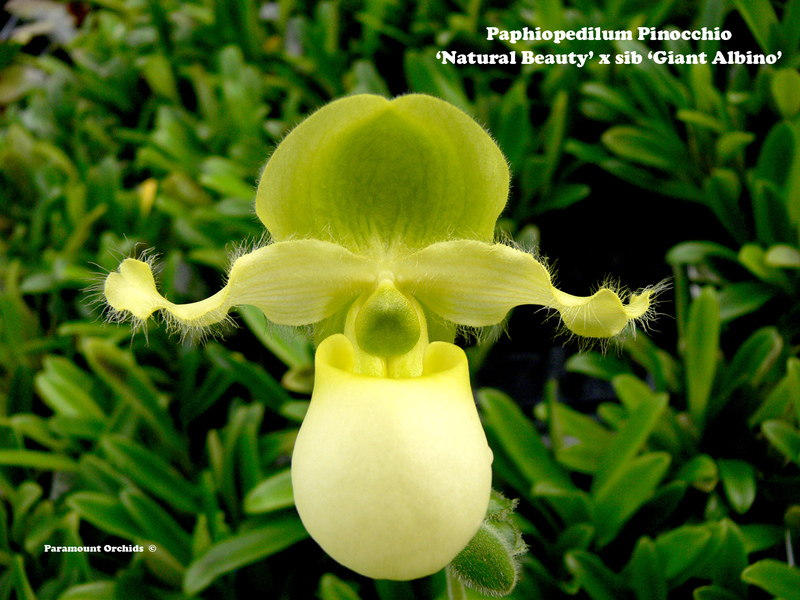 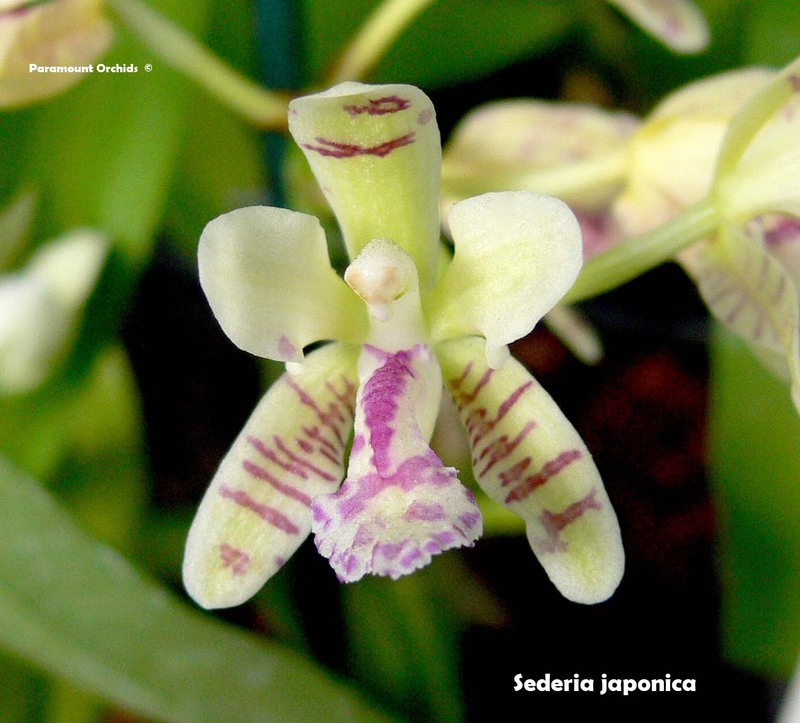 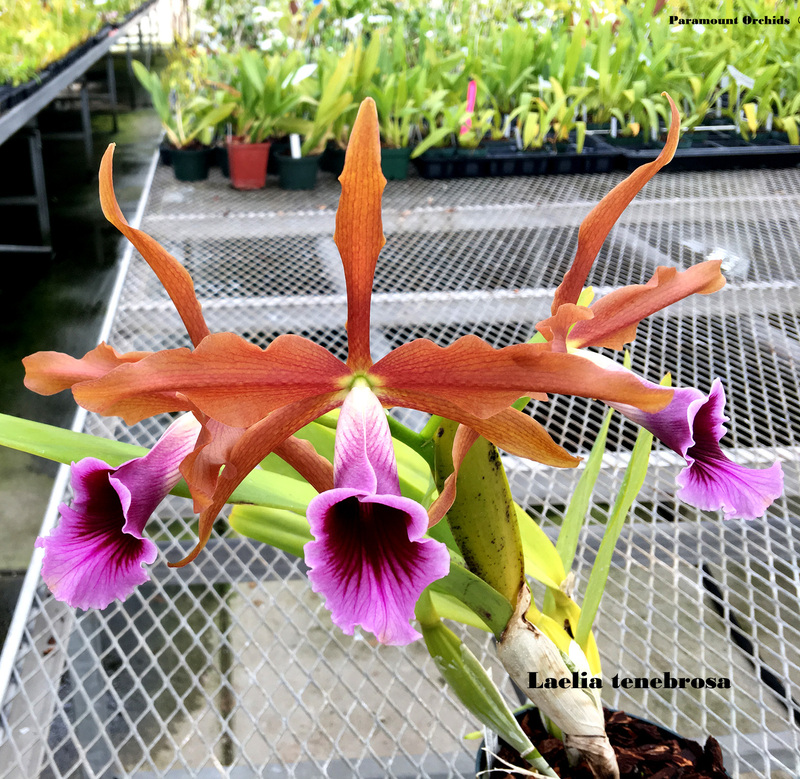 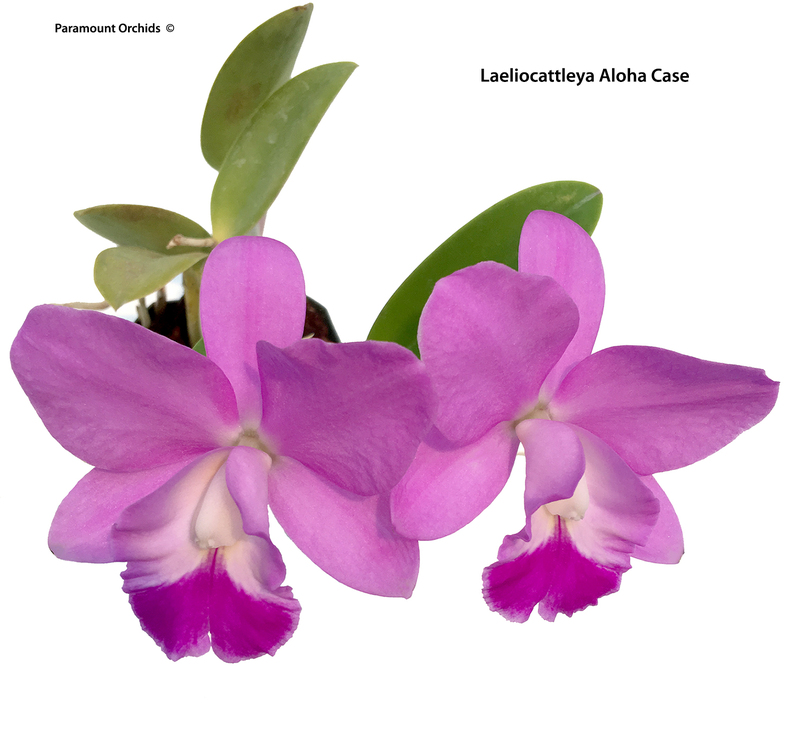 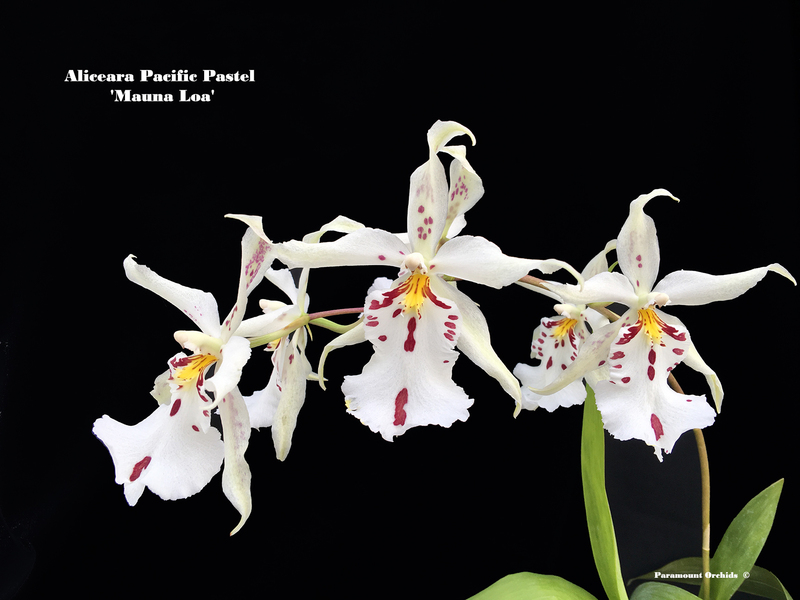 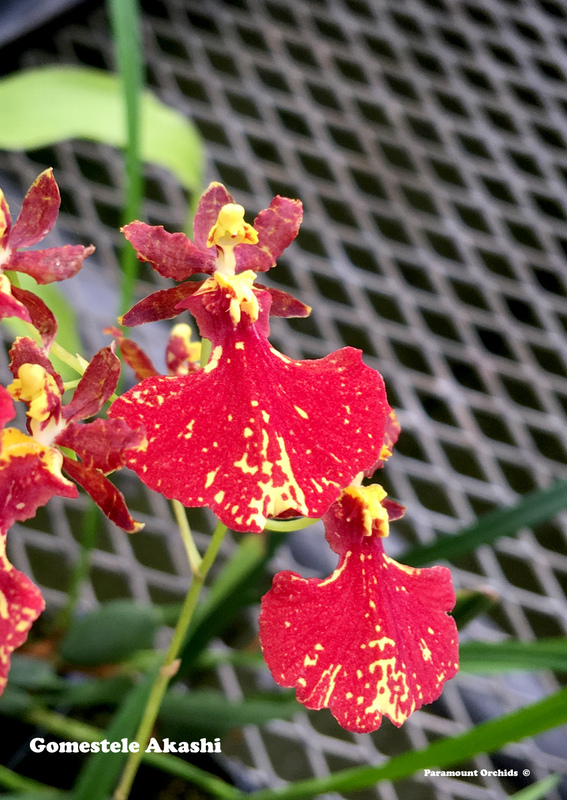 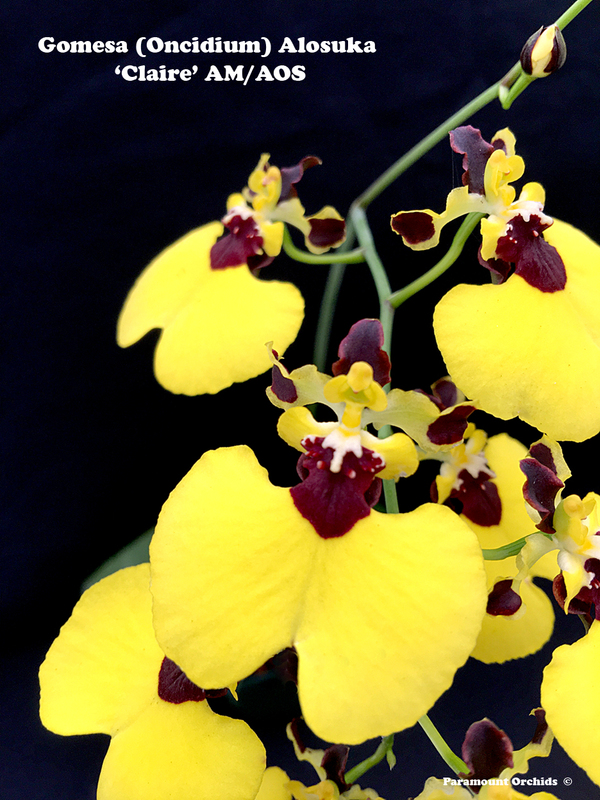 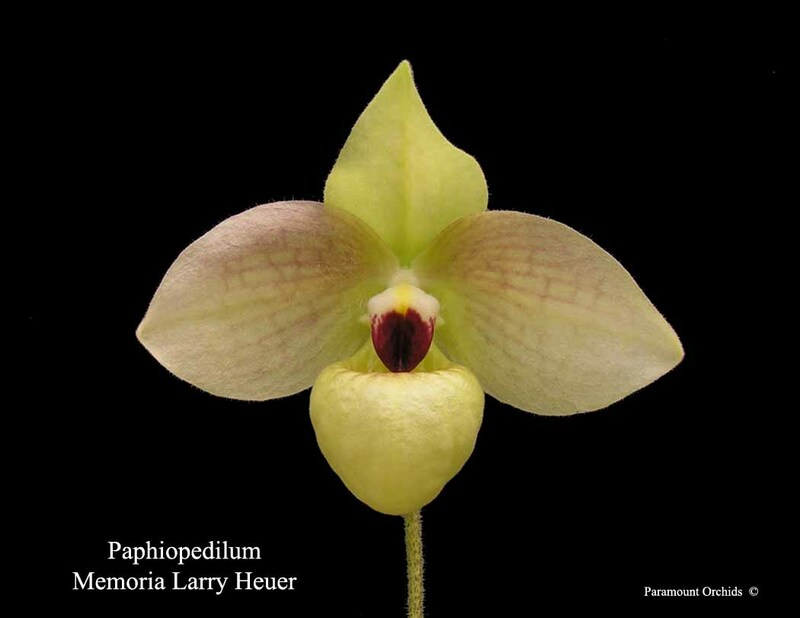 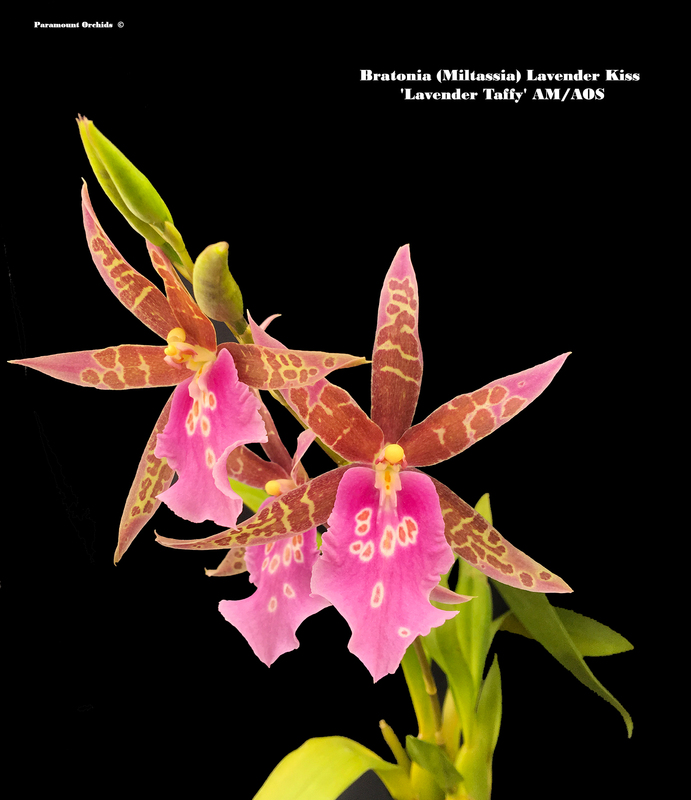 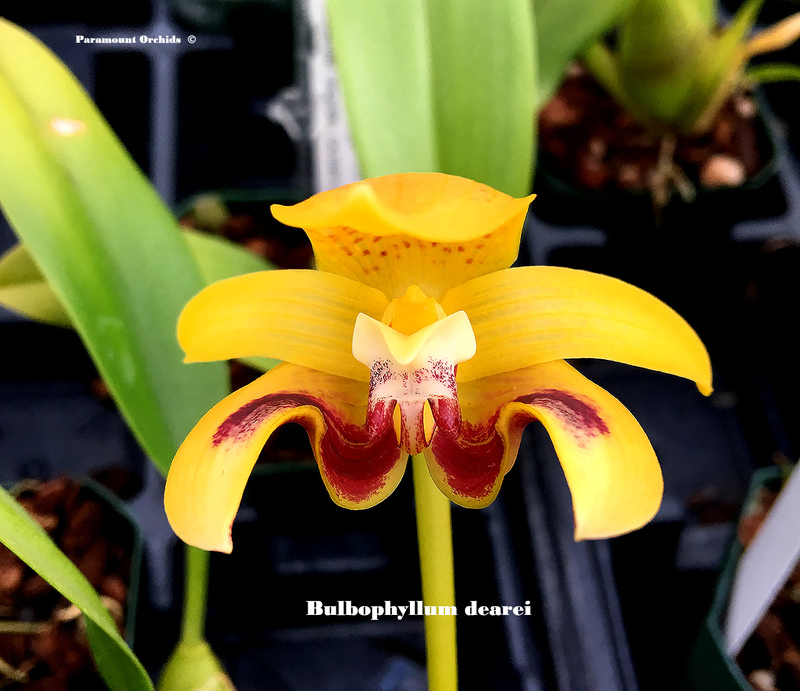 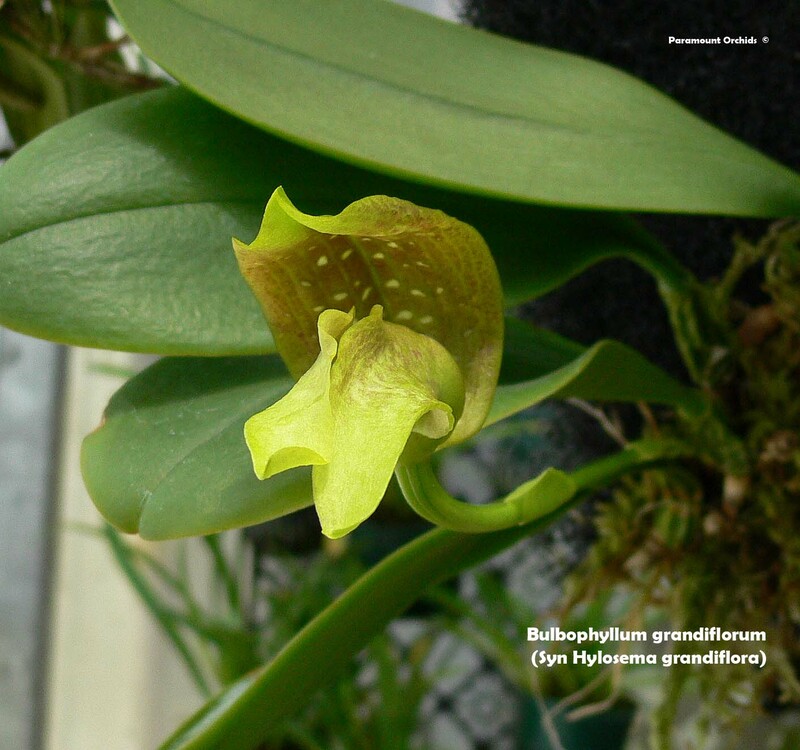 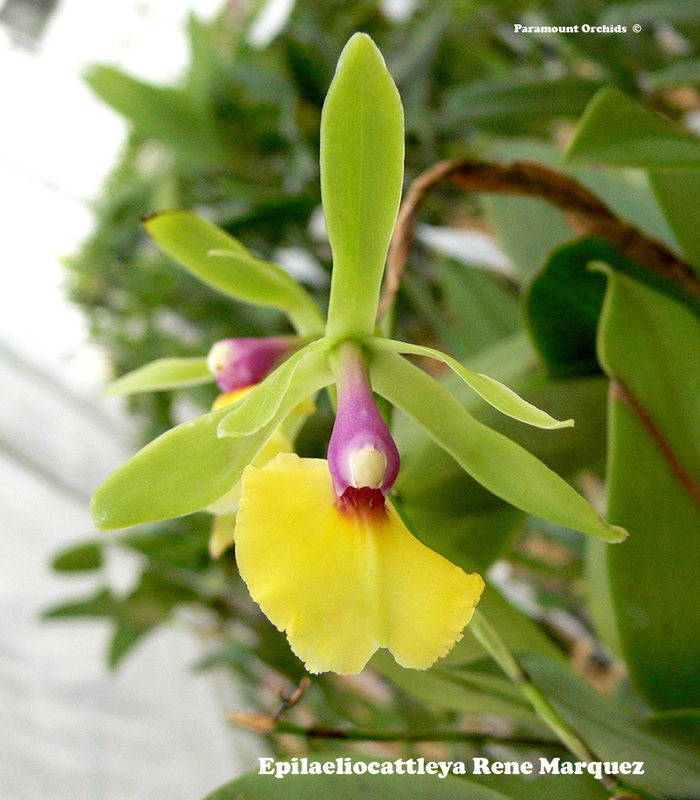 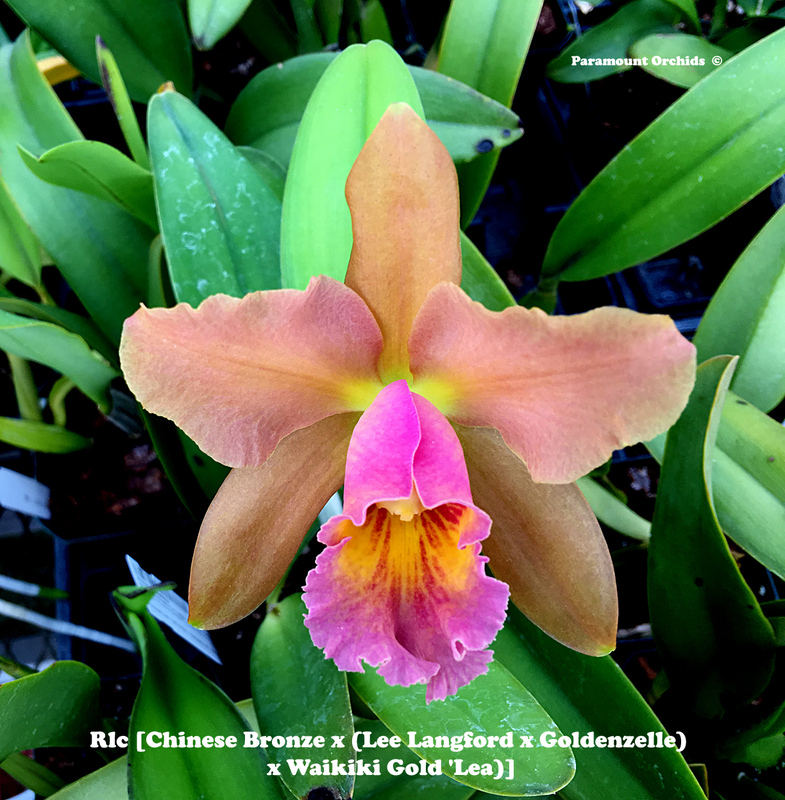 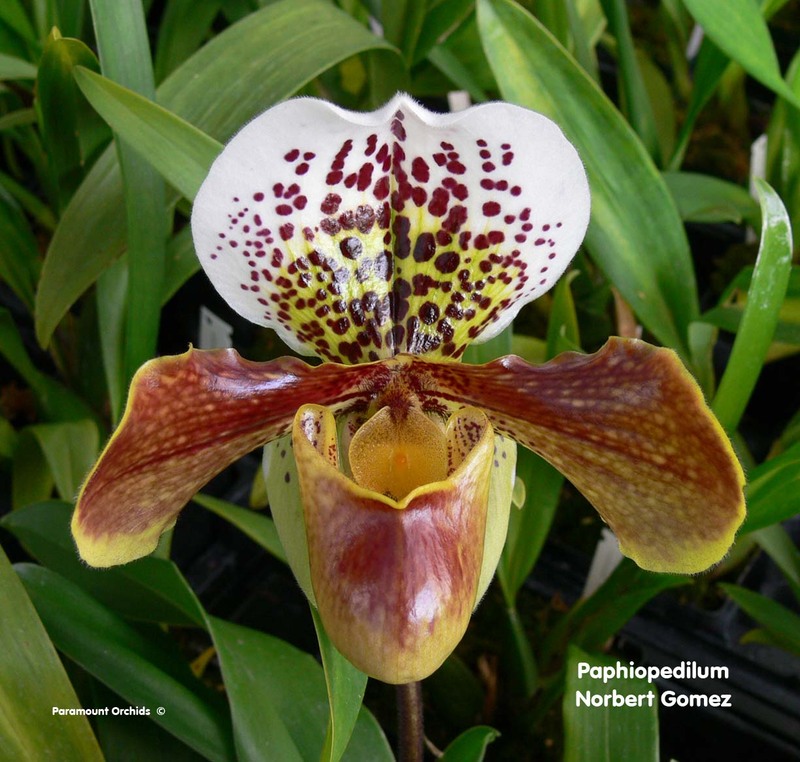 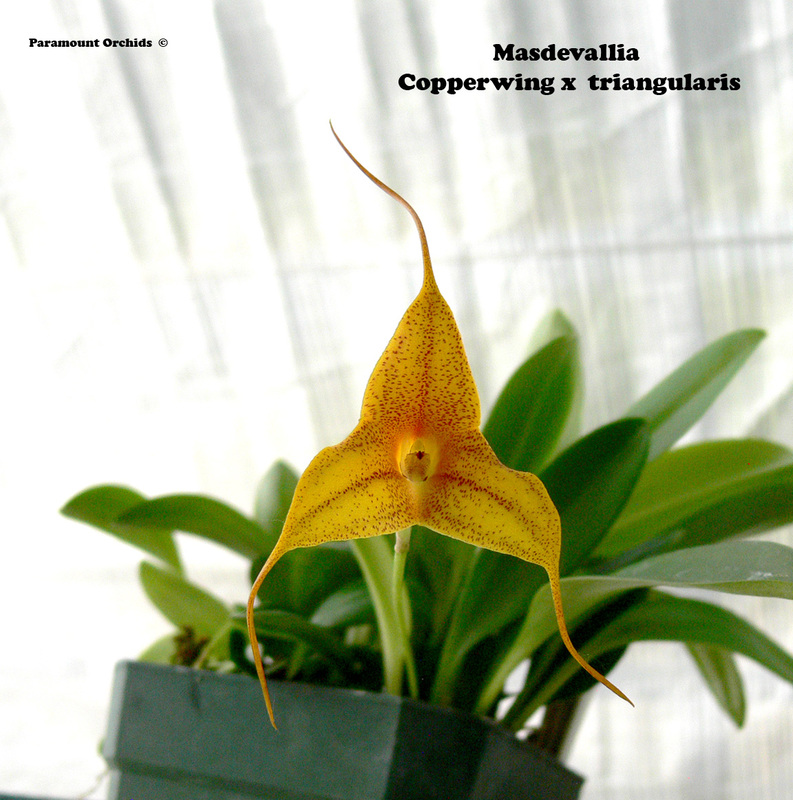 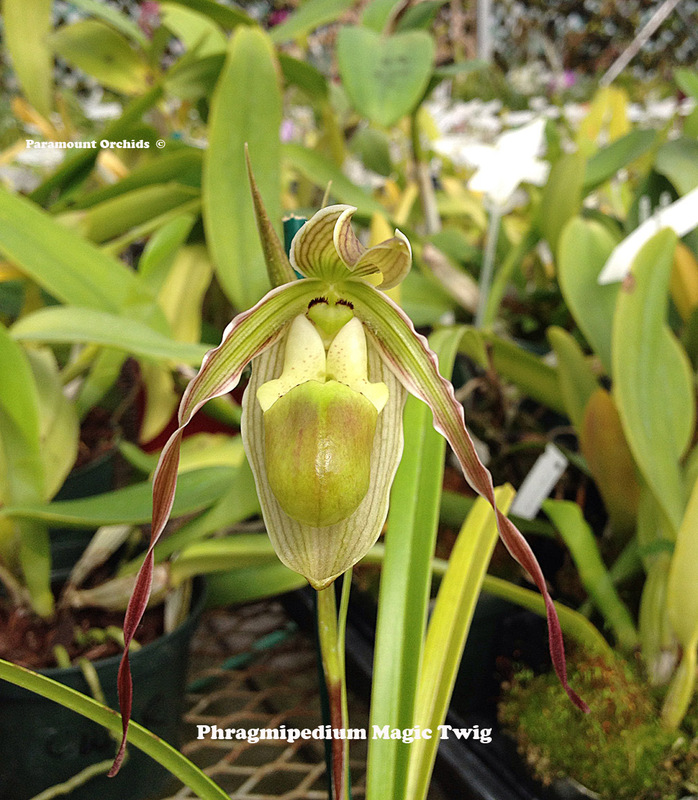 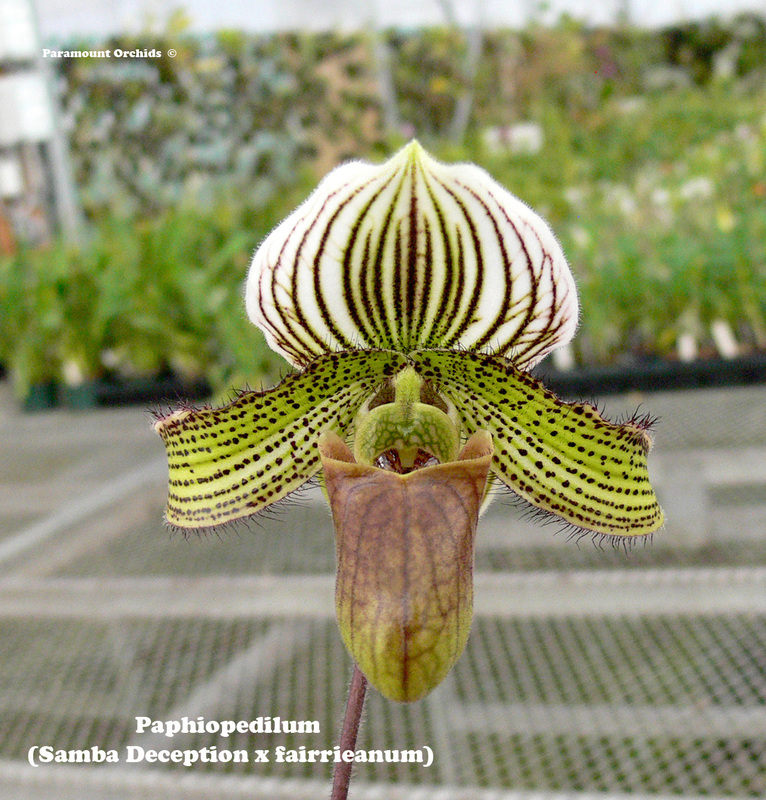 The sepals and petals are bright green and the labellum is a very bright yellow to yellow-orange. 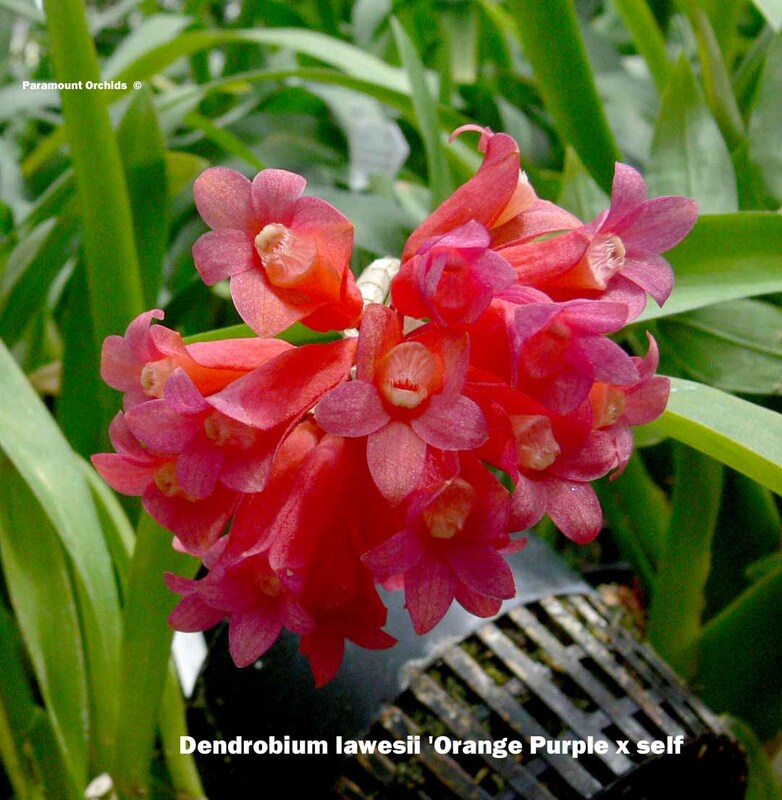 The column and base is an intense purple-red.